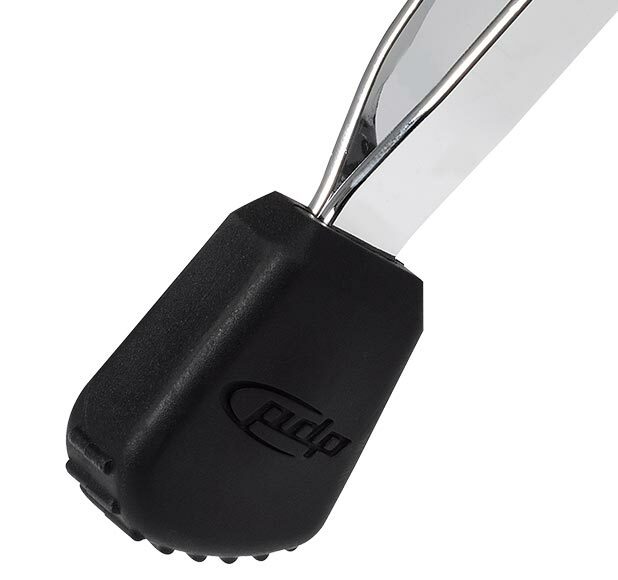 Pacific hardware and pedals are designed for every drummer. 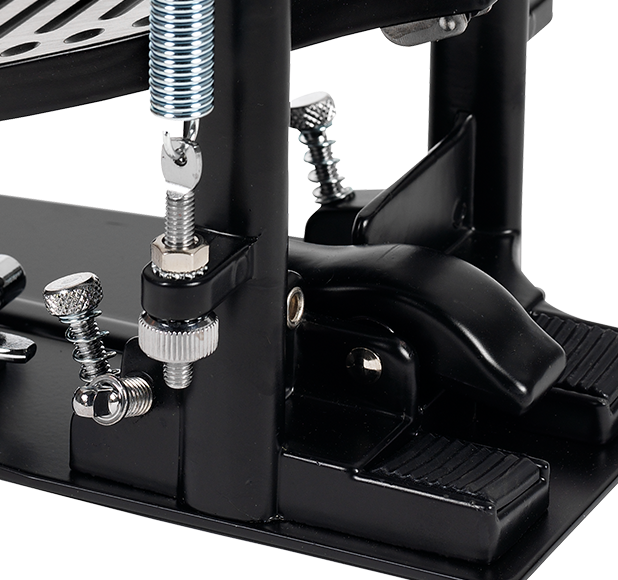 From the modular line of Concept Series™ stands, to an array of pro-inspired pedals and rack systems, PDP offers a cost conscious alternative to players of every musical genre and skill level. 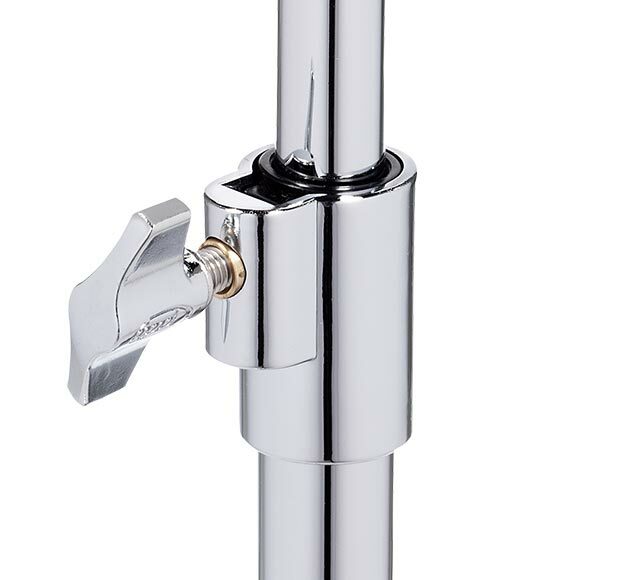 And we think more drummers with better gear is a beautiful thing. 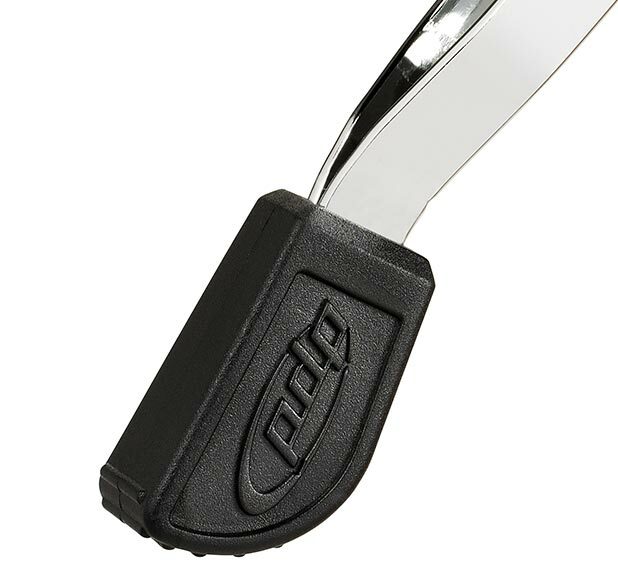 PDP hardware is designed by Drum Workshop, known throughout the industry for creating innovative hardware that inspires drummers everywhere. The PDP Concept Series™ Direct Drive Pedal follows that same path of design innovation, combining the advances of PDP’s regular Concept Pedal with the high-performance feel of a Direct Drive. 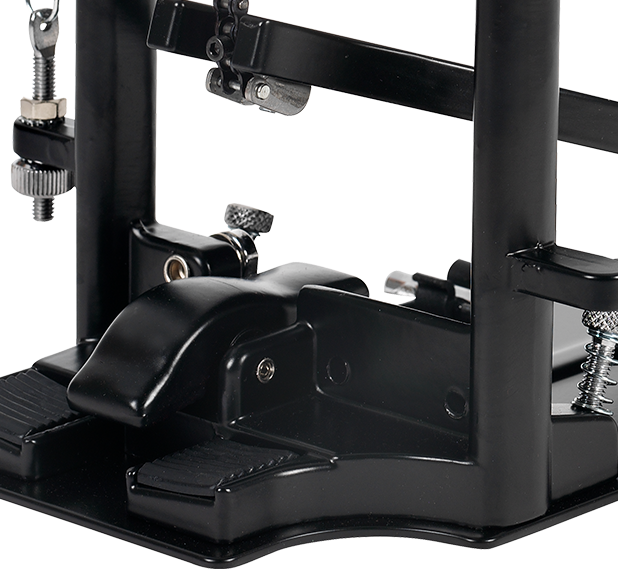 The Concept Series™ Pedals were developed to be a professional, tour-ready pedal that creatively solves the unique problems for drummers. 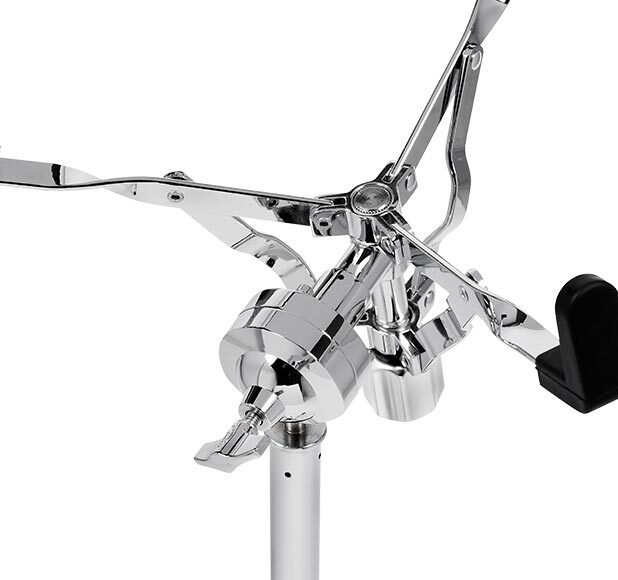 Out of the box, you’ll notice the pedal’s XF Extended Footboard in brushed aluminum. 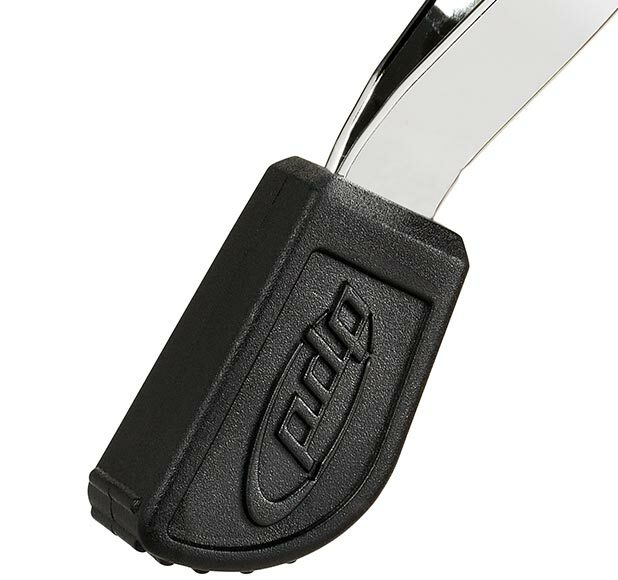 The 10.6-inch footboard length provides a versatile surface for speed, velocity and power, whether you play heel-toe, heel-up, or heel-down. 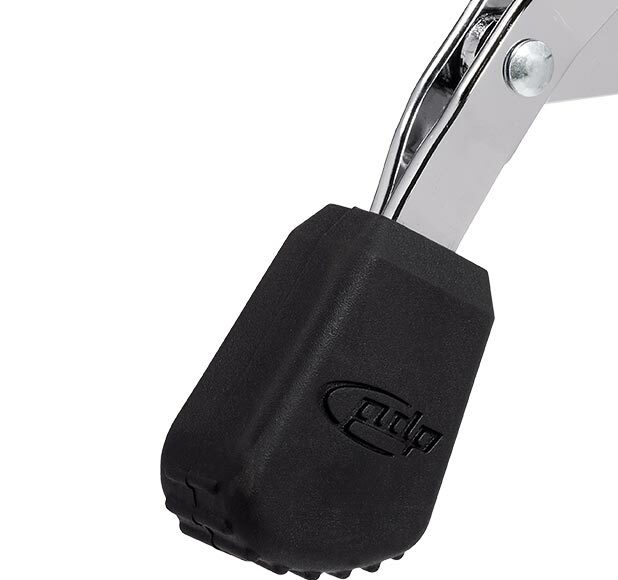 Designed with tight tolerances and a Needle Bearing Hinge for reduced friction, the pedal delivers a sensitive feel with instant response. 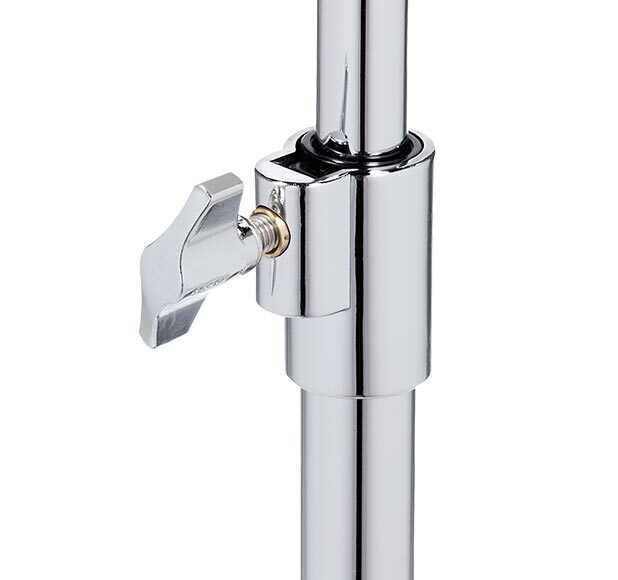 You want more standard features? 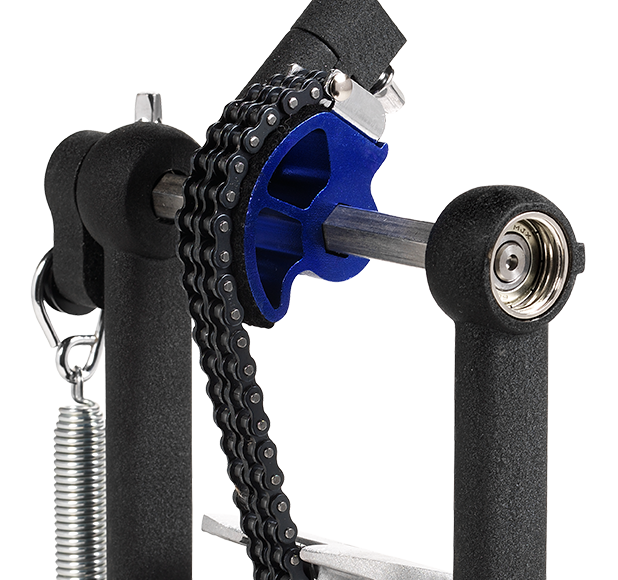 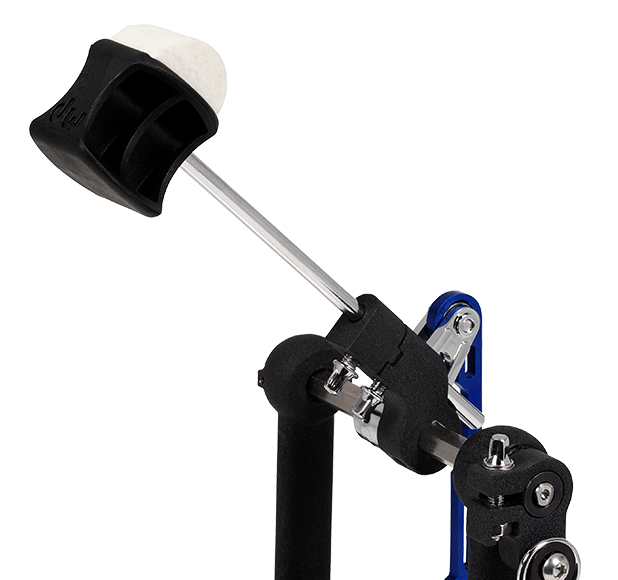 The Concept™ Pedal sports an Infinitely Adjustable Spring Rocker for precise stroke adjustment, a PDP Two-Way Beater with both soft felt and hard plastic contact surfaces, the easy-to-use Side Adjustable Toe Clamp, a lightweight aluminum base plate, retractable spurs and a built-in drum key clip. 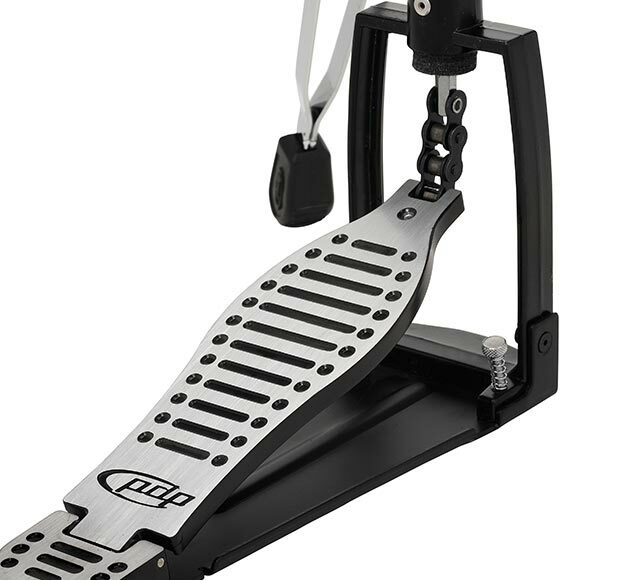 When all is said and done, the PDP Concept Series™ Pedal is a solid performer that gives other models a run for their money. 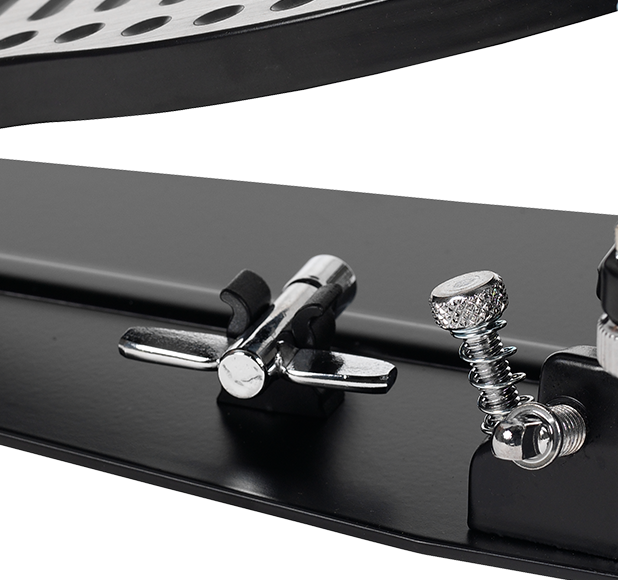 PDP hardware is designed by Drum Workshop, known throughout the industry for creating innovative hardware that inspires drummers everywhere. 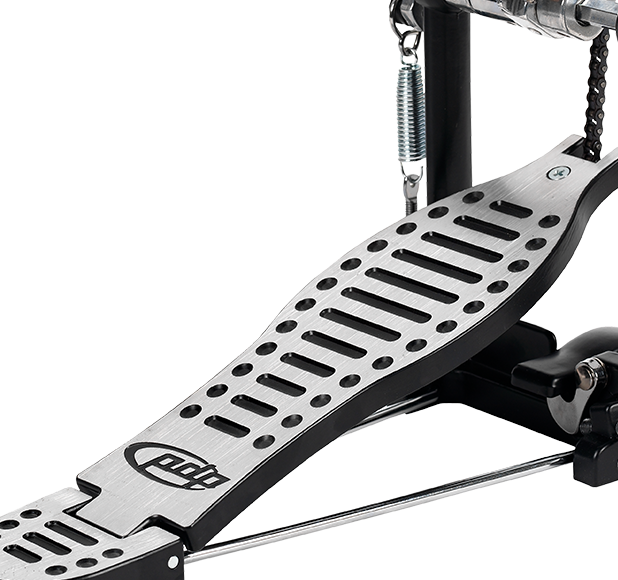 The PDP Concept Series™ Bass Drum Pedal follows that same path of design innovation. 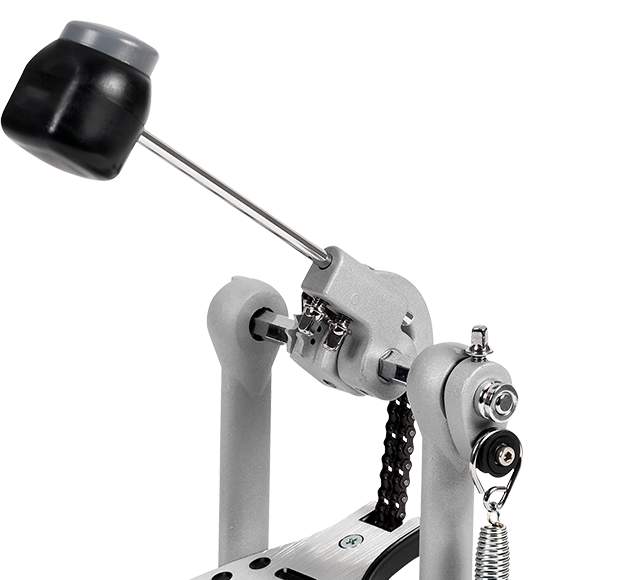 The Concept Series™ Pedal was developed to be a professional, tour-ready pedal that creatively solves the unique problems for drummers. 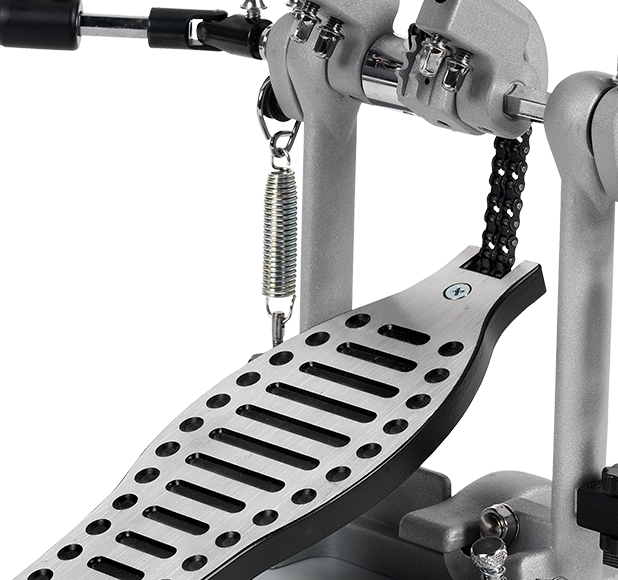 Out of the box, you’ll notice the pedal’s XF Extended Footboard in brushed aluminum. 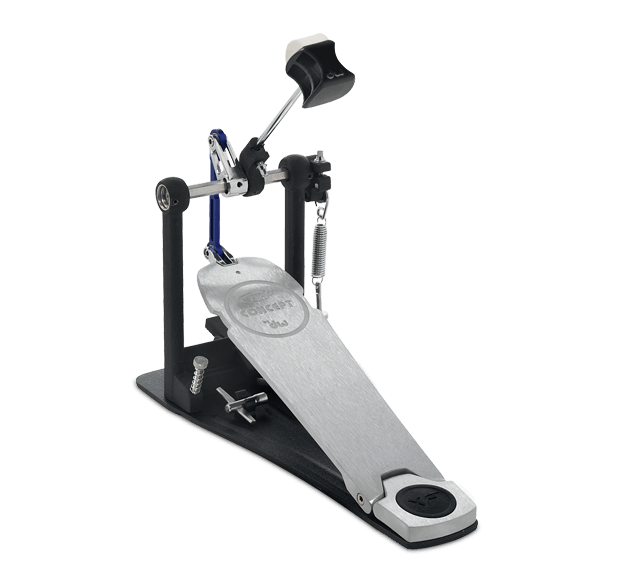 The 10.6-inch footboard length provides a versatile surface for speed, velocity and power, whether you play heel-toe, heel-up, or heel-down. 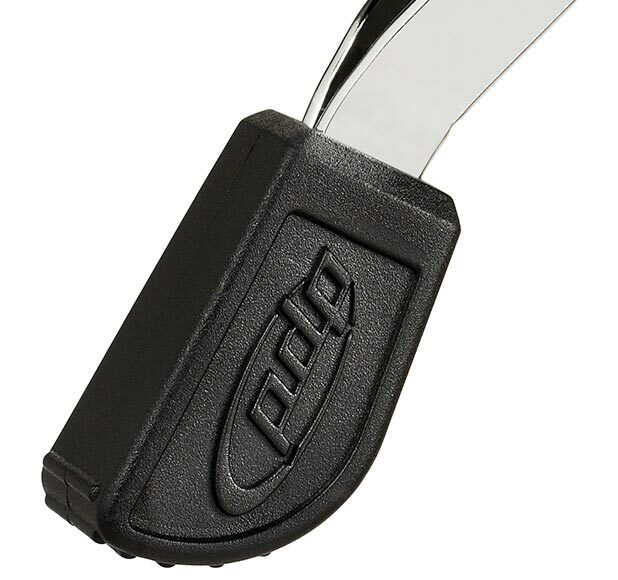 Designed with tight tolerances and a Needle Bearing Hinge for reduced friction, the pedal delivers a sensitive feel with instant response. 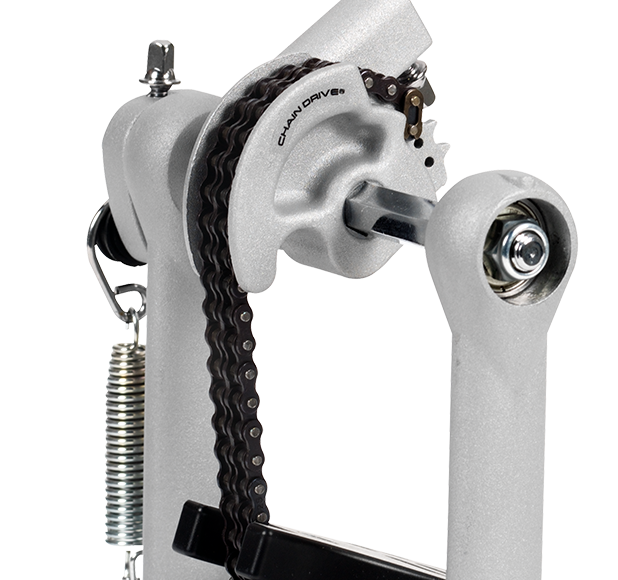 And the Cobalt Low Mass Drive is lighter in weight, while still perfectly balanced by a Dual-Chain. 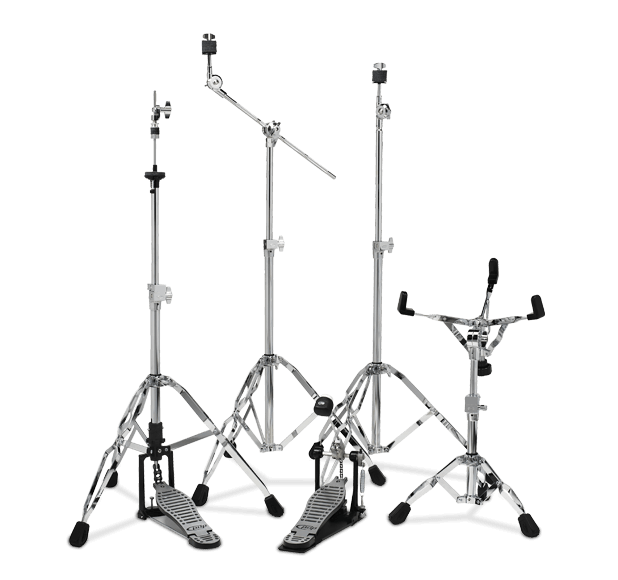 PDP hardware is designed by industry leader Drum Workshop, a company that has been solving hardware problems since 1972. 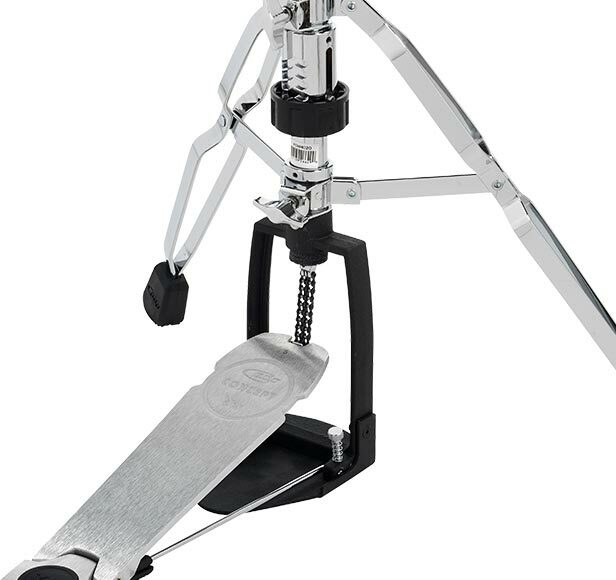 The PDP 500 Series Bass Drum Pedal delivers exceptional quality and engineering. 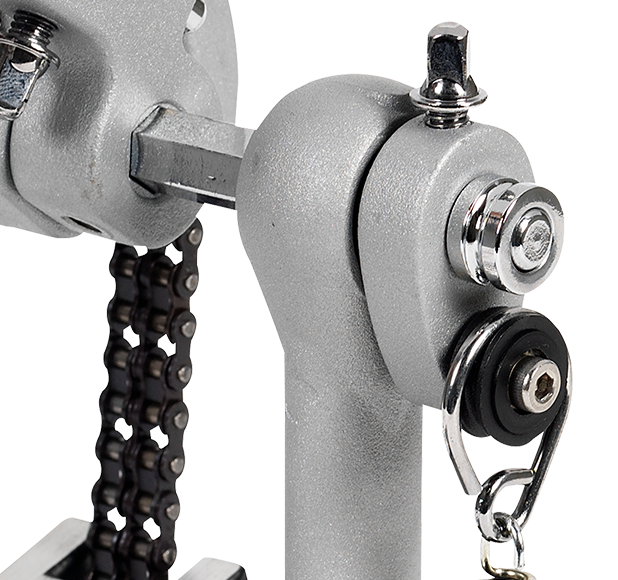 It features a sleek, racing-inspired footboard, and a Dual-Chain Drive with Offset Cam for improved torque. 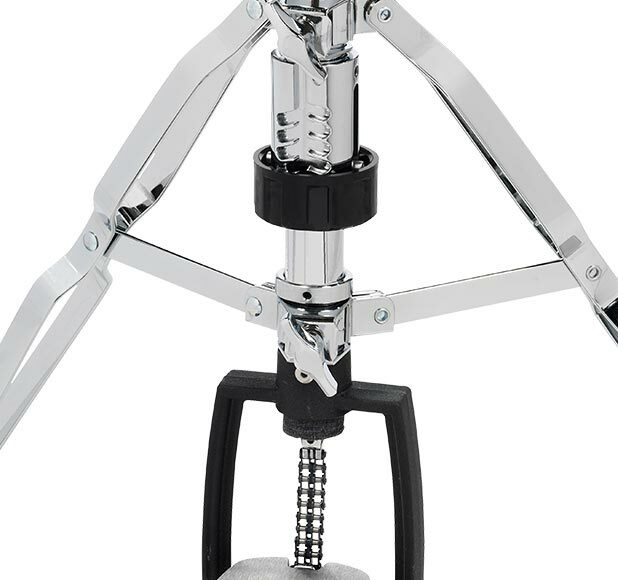 It comes standard with a PDP Two-Way Beater, built-in spurs, Side Adjustable Toe Clamp, and a built-in drum key clip. 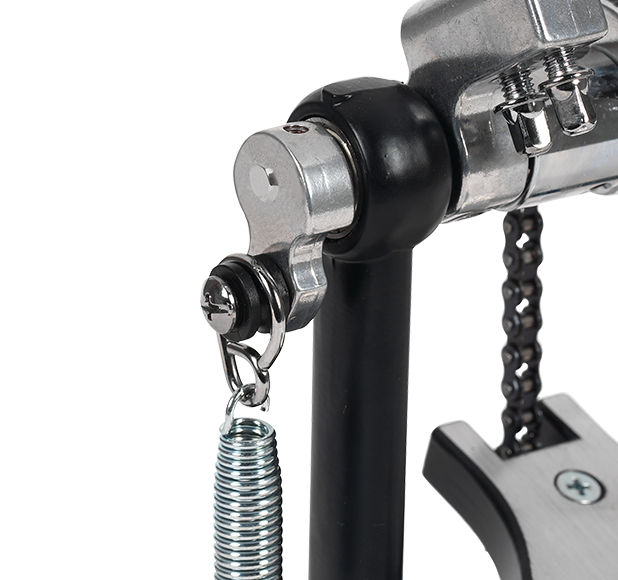 And this pedal’s Infinitely Adjustable Spring Rocker allows you to precisely customize your beater stroke. 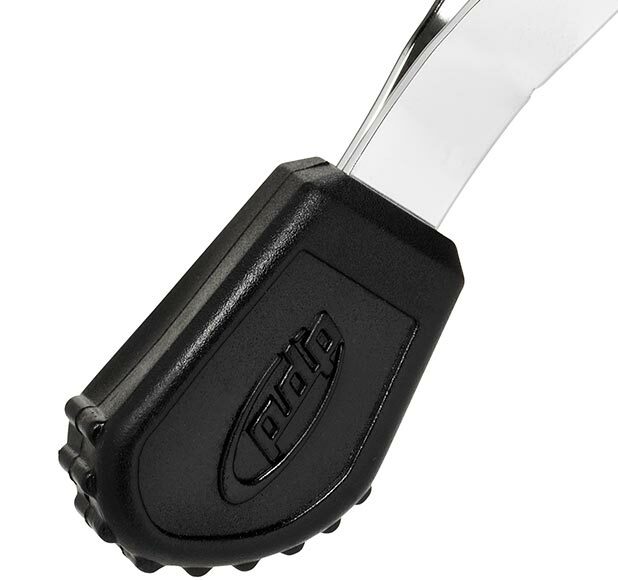 With the 500 Series Pedal, it’s easy to dial in your own personal playing style. 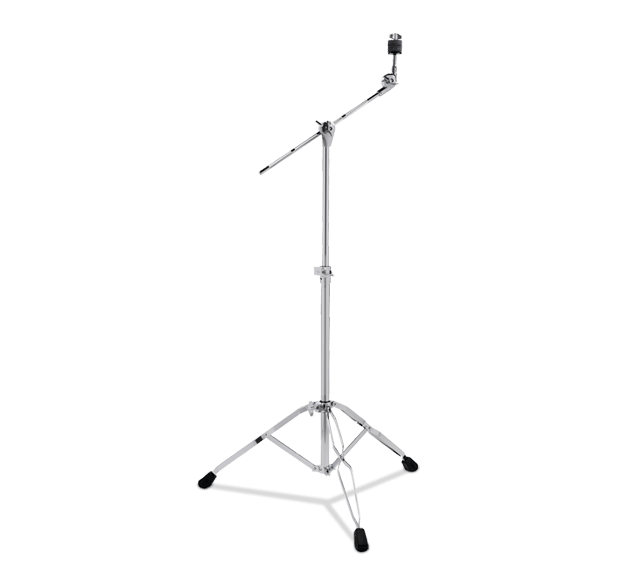 PDP hardware is designed by industry leader Drum Workshop, a company that has been solving hardware problems since 1972. 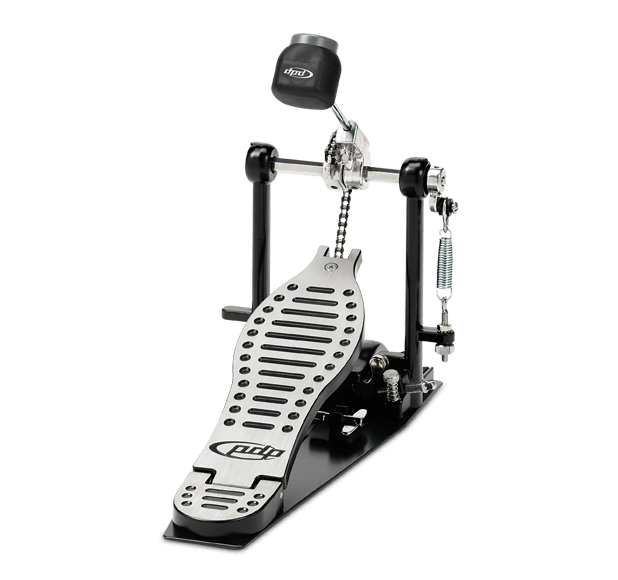 The PDP 400 Series Bass Drum Pedal offers drummers amazing value. 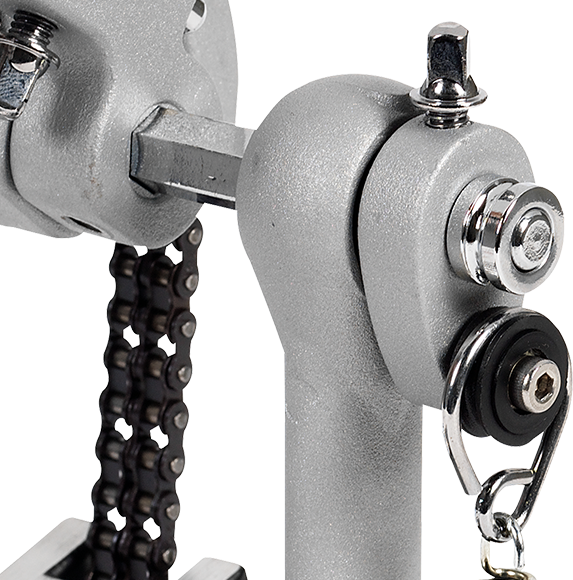 It features a sleek, racing-inspired footboard, and a Single-Chain Drive with Offset Cam for improved torque. 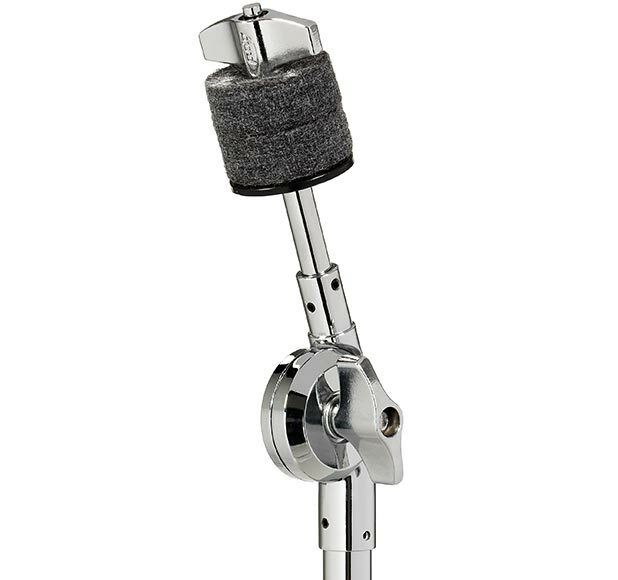 It comes standard with a PDP Two-Way Beater, built-in spurs, Side Adjustable Toe Clamp, Three-Position Stroke Adjustment for its spring tension, and a built-in drum key clip. 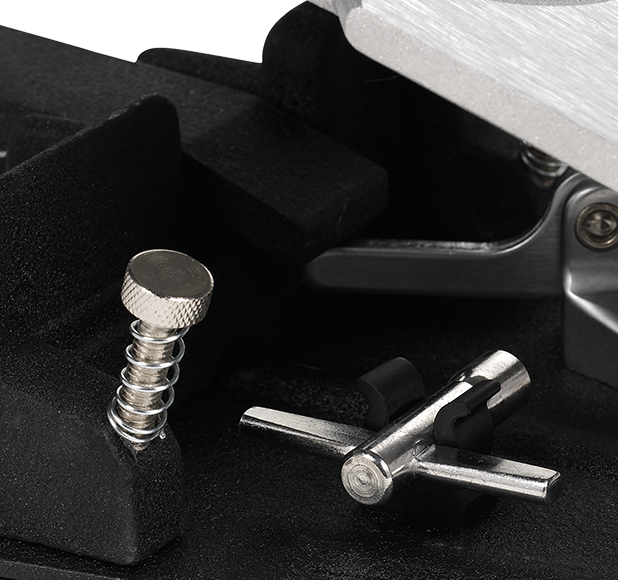 With the 400 Series Pedal, it’s easy to dial in your own personal playing style. 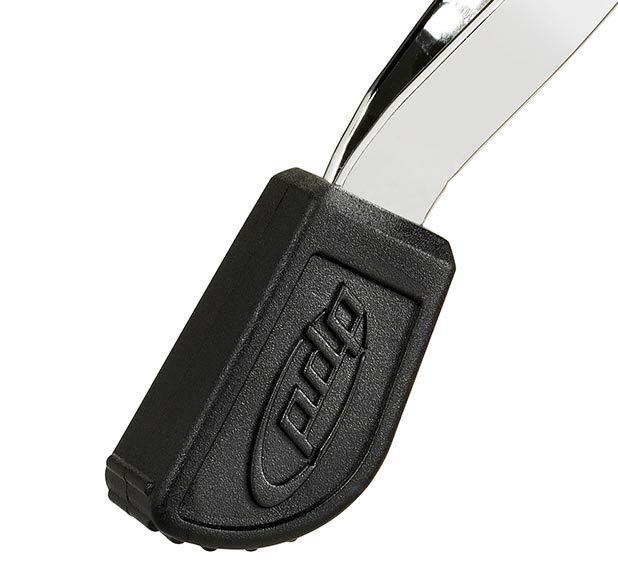 PDP hardware is designed by Drum Workshop, known throughout the industry for creating innovative hardware that inspires drummers everywhere. 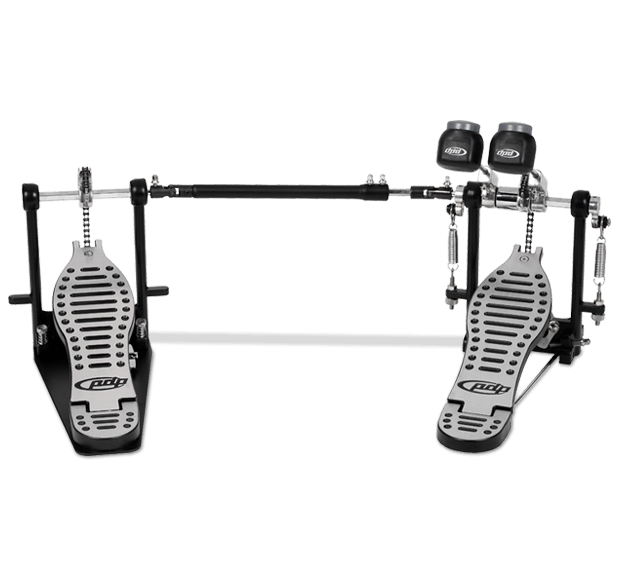 The PDP Concept Series™ Direct Drive Double Pedal follows that same path of design innovation, combining the advances of PDP’s regular Concept™ Double Pedal with the high-performance feel of Direct Drive. 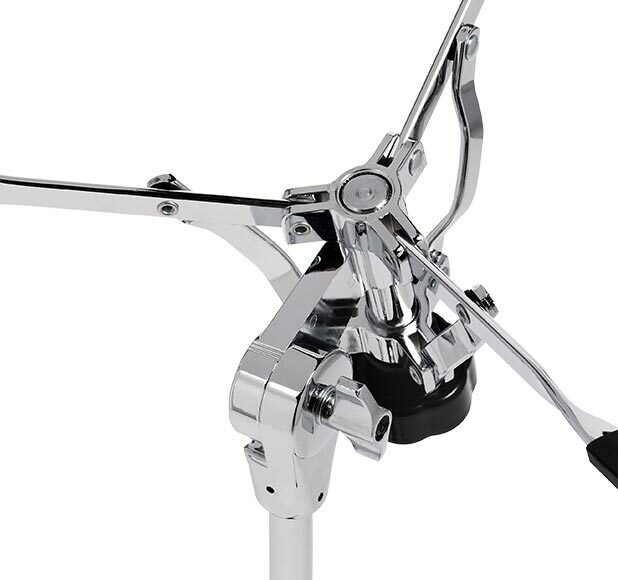 The Concept Series™ Double Pedals were developed to be professional, tour-ready pedals, that creatively solve the unique problems of drummers. 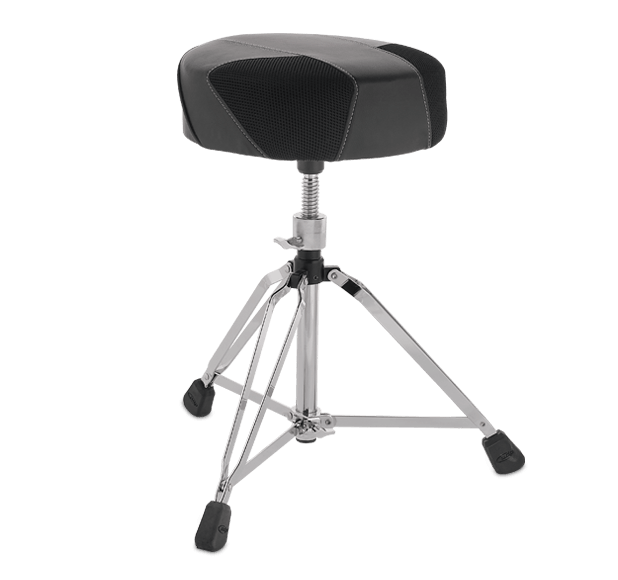 Out of the box, you’ll notice the Double Pedal’s XF Extended Footboards, finished in brushed aluminum. 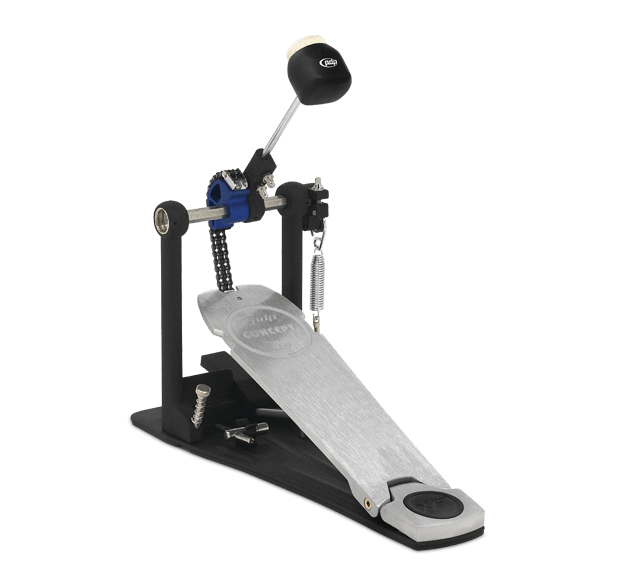 The 10.6-inch footboard length provides a versatile surface for speed, velocity and power, whether you play heel-toe, heel-up, or heel-down. 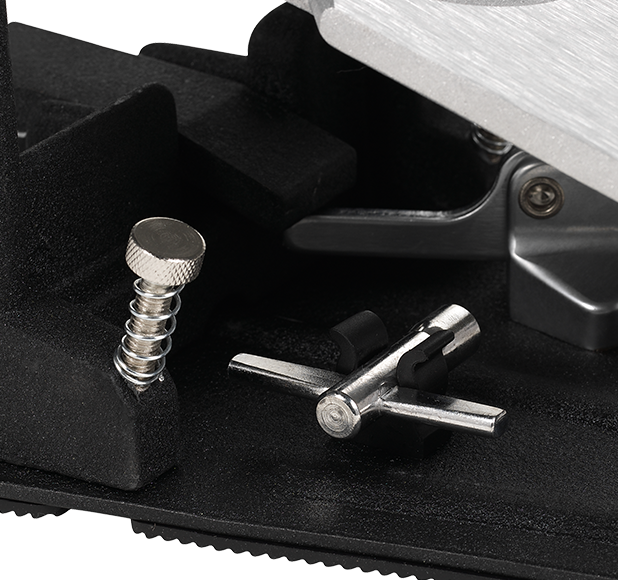 Designed with tight tolerances and Needle Bearing Hinges for reduced friction, both pedals deliver a sensitive feel with instant response. 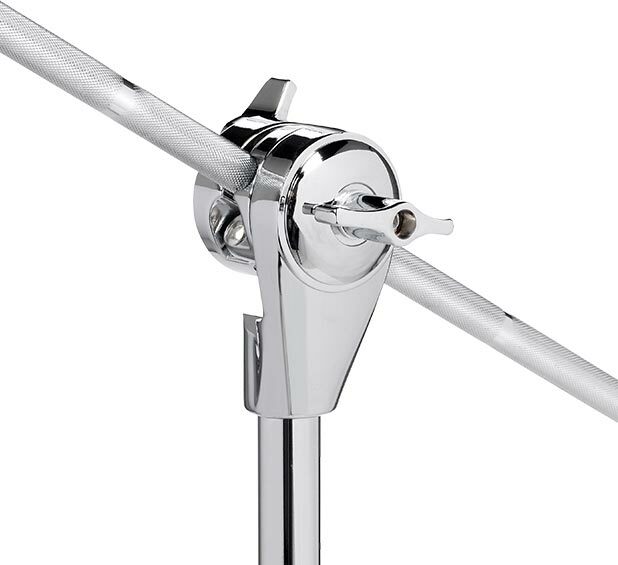 You want more standard features? 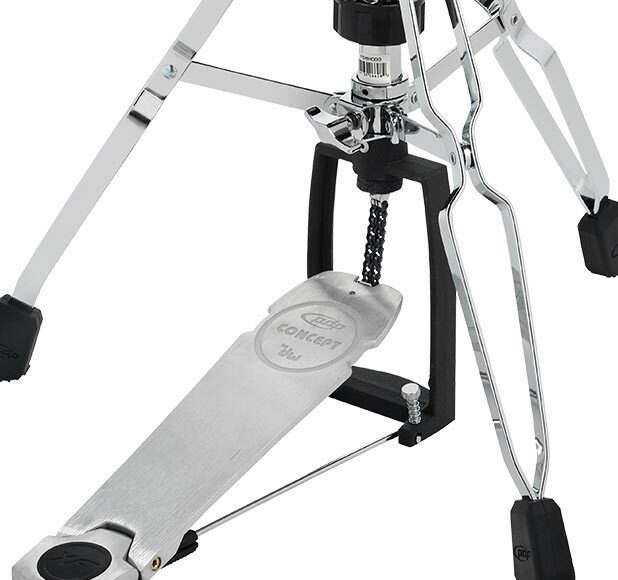 The Concept™ Double Pedal sports two Infinitely Adjustable Spring Rockers for precise stroke adjustment on both sides, PDP Two-Way Beaters with soft felt and hard plastic contact surfaces, our easy-to-use Side Adjustable Toe Clamp, lightweight aluminum base plates, retractable spurs, and a built-in drum key clip. 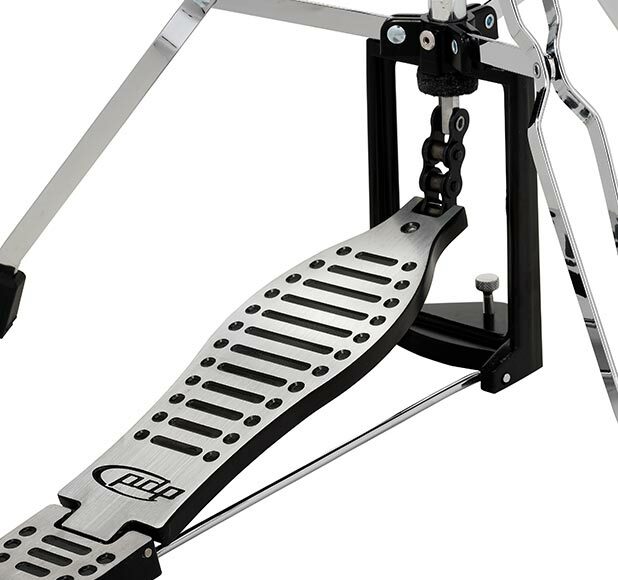 When all is said and done, the PDP Concept Series™ Double Pedal is a solid performer that gives other models a run for their money. 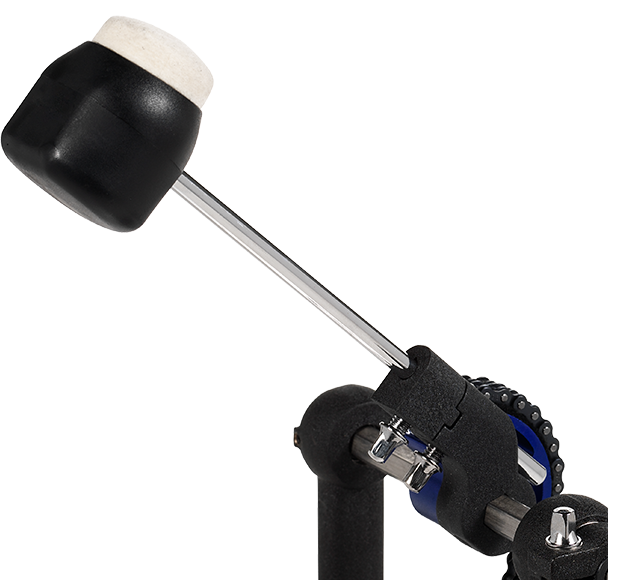 PDP hardware is designed by Drum Workshop, known throughout the industry for creating innovative hardware that inspires drummers everywhere. 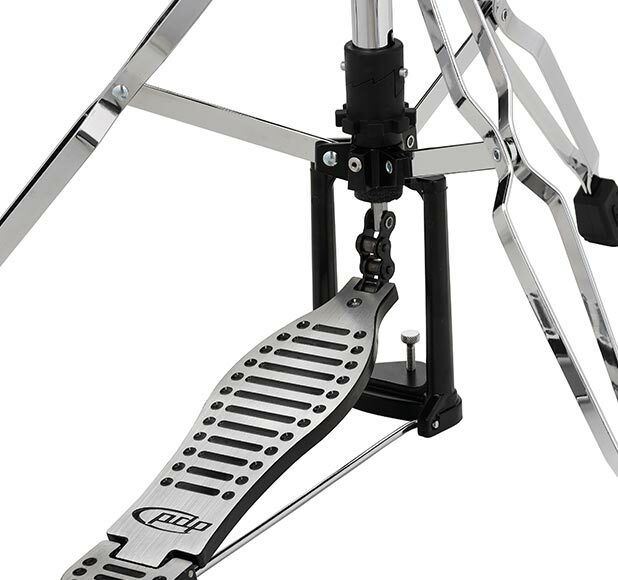 The PDP Concept Series™ Double Bass Drum Pedal follows that same path of design innovation. 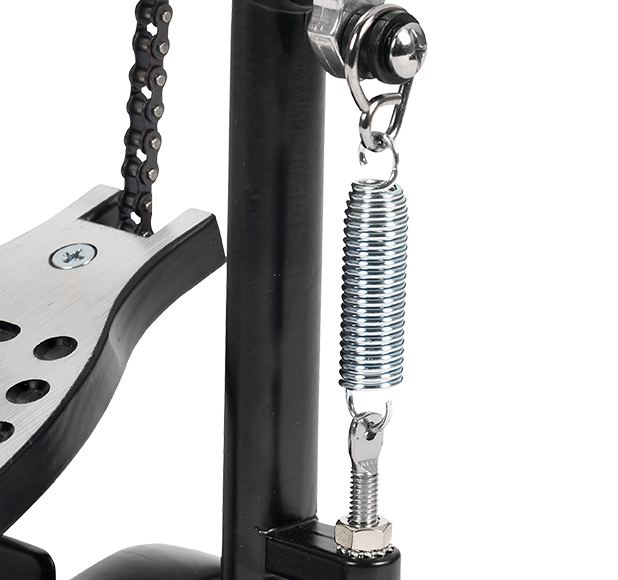 The Concept Series™ Pedal was developed to be a professional, tour-ready pedal that creatively solves the unique problems for drummers. 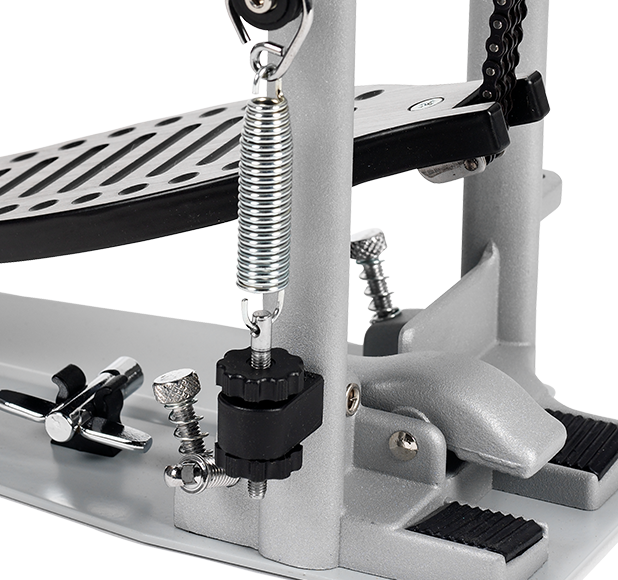 Out of the box, you’ll notice the pedal’s XF Extended Footboards, finished in brushed aluminum. 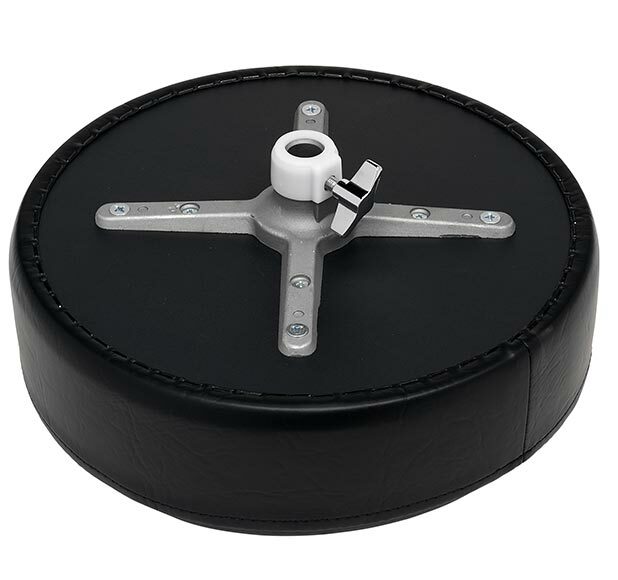 The 10.6-inch footboard length provides a versatile surface for speed, velocity and power, whether you play heel-toe, heel-up, or heel-down. 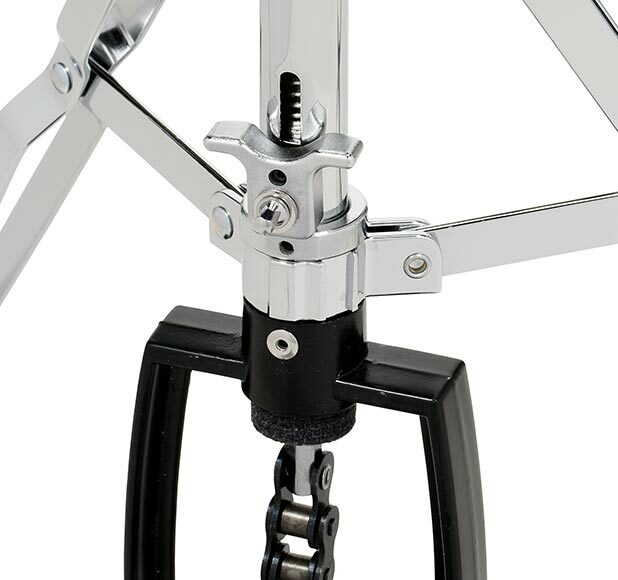 Designed with tight tolerances and Needle Bearing Hinges for reduced friction, both pedals deliver a sensitive feel with instant response. 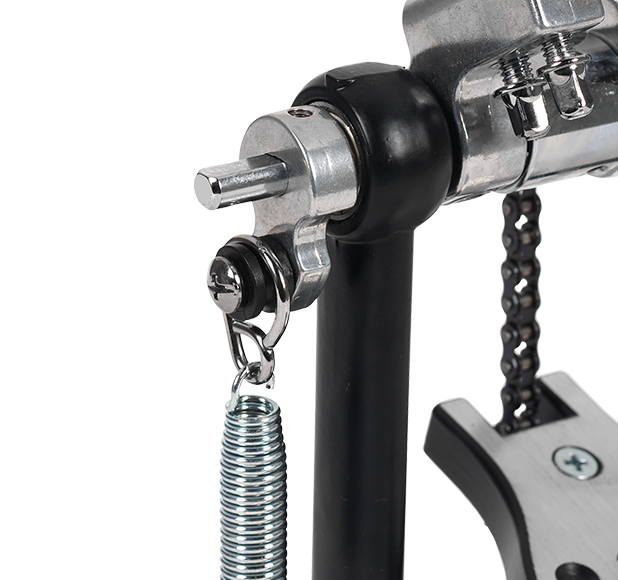 And the Cobalt Low Mass Drives are lighter in weight, while each is still perfectly balanced by Dual Chains. 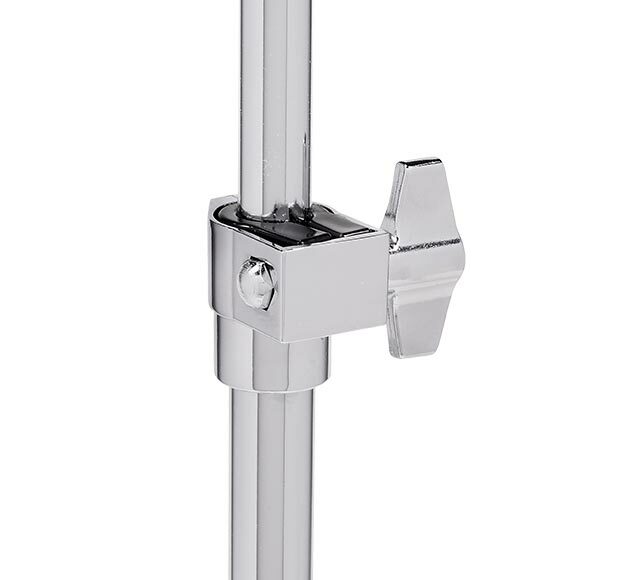 You want more standard features? 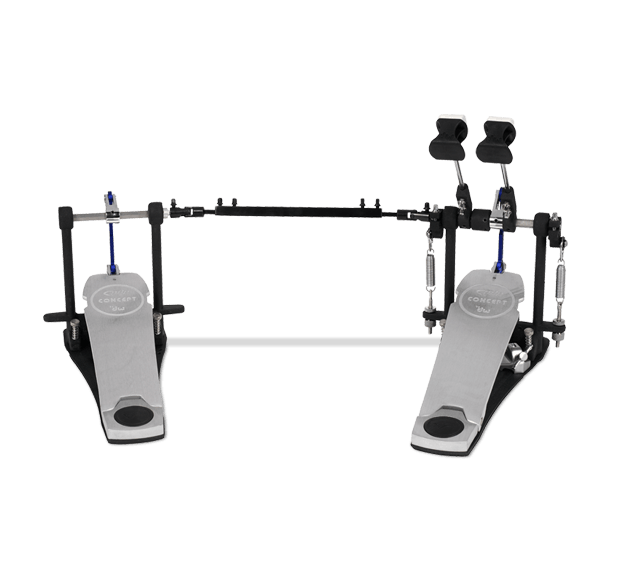 The Concept™ Double Pedal sports our Infinitely Adjustable Spring Rockers for precise stroke adjustment on both sides, PDP Two-Way Beaters with soft felt and hard plastic contact surfaces, the easy-to-use Side Adjustable Toe Clamp, lightweight aluminum base plates, retractable spurs, and a built-in drum key clip. 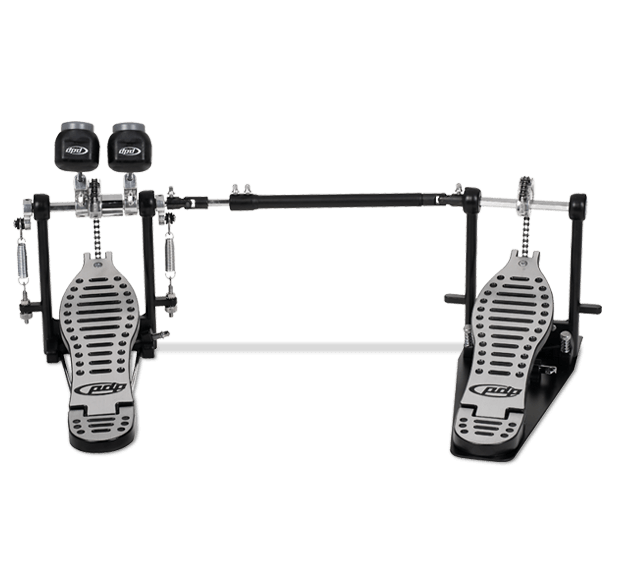 When all is said and done, the PDP Concept Series™ Double Pedal is a solid performer that gives other models a run for their money. 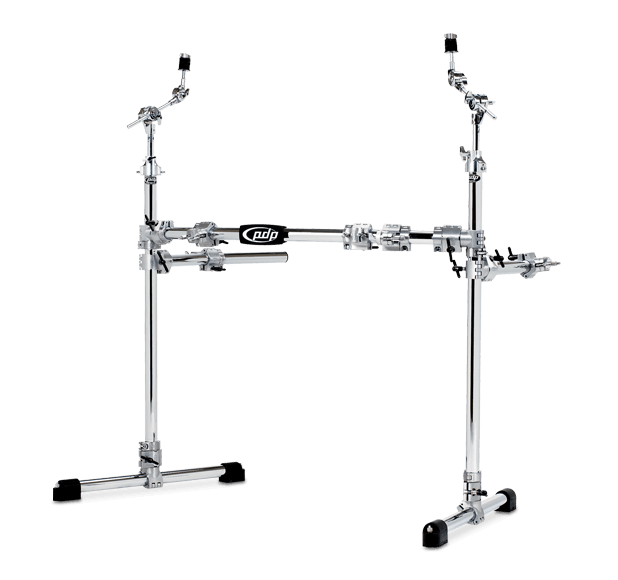 PDP hardware is designed by industry leader Drum Workshop, a company that has been solving hardware problems since 1972. 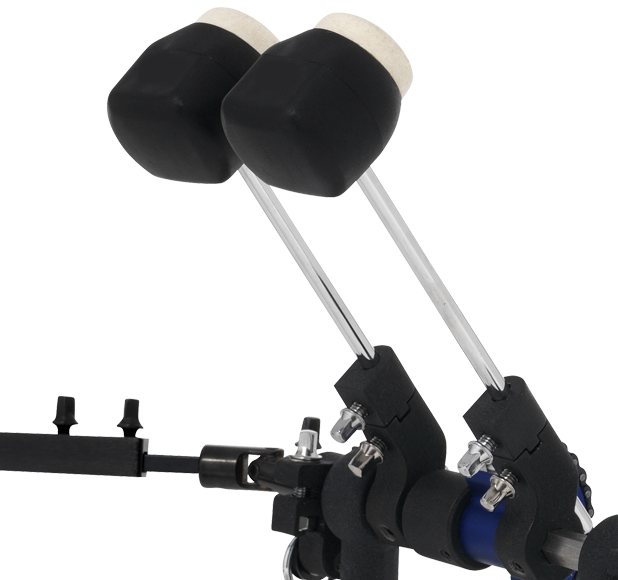 The PDP 500 Series Double Bass Drum Pedal delivers that exceptional quality and engineering, just like the 500 Single Pedal. 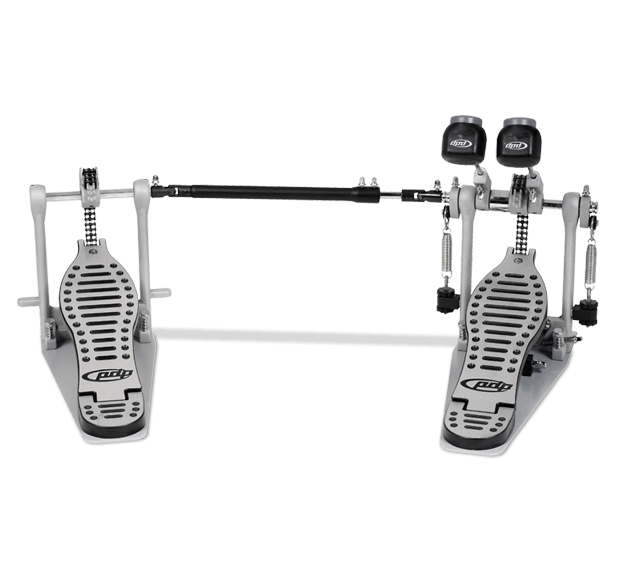 The Double Pedal features two sleek, racing-inspired footboards, and a pair of Dual-Chain Drives, each with Offset Cams for improved torque. 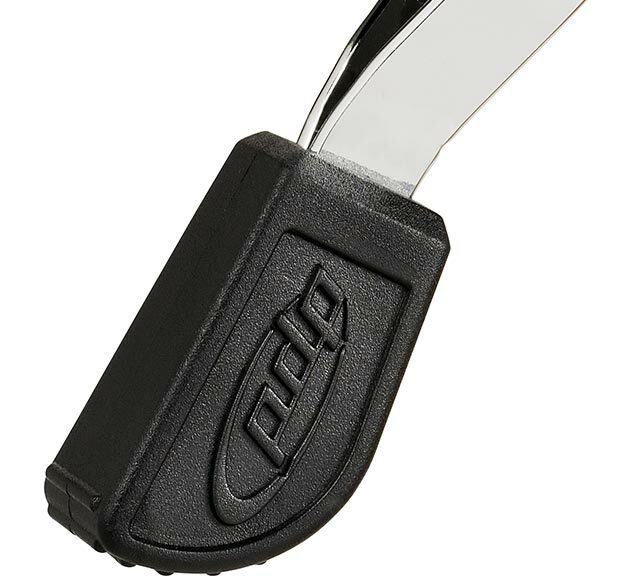 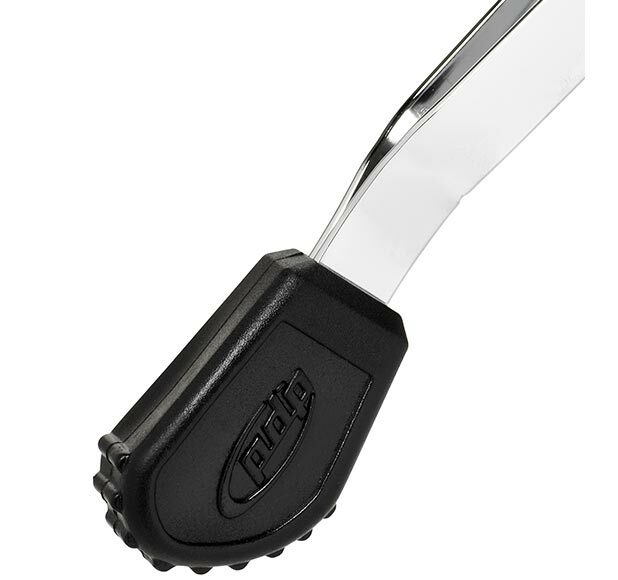 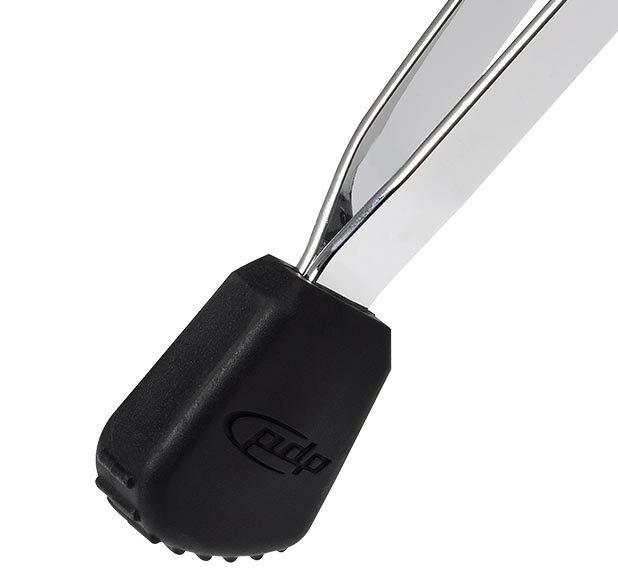 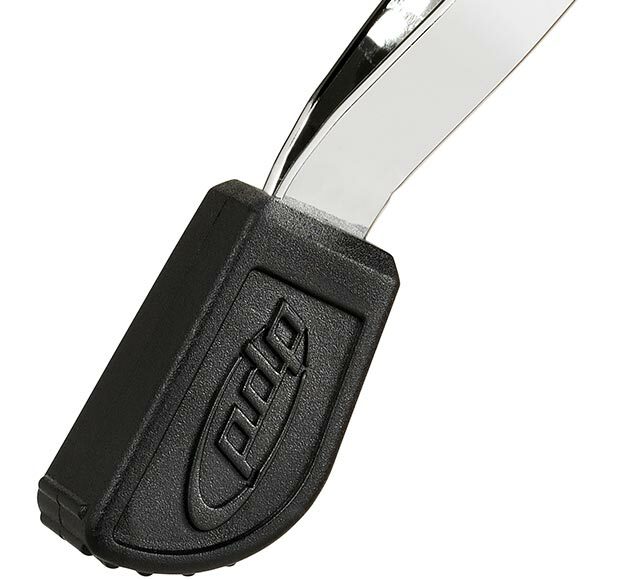 It comes standard with PDP Two-Way Beaters, built-in spurs, Side Adjustable Toe Clamp, and a built-in drum key clip. 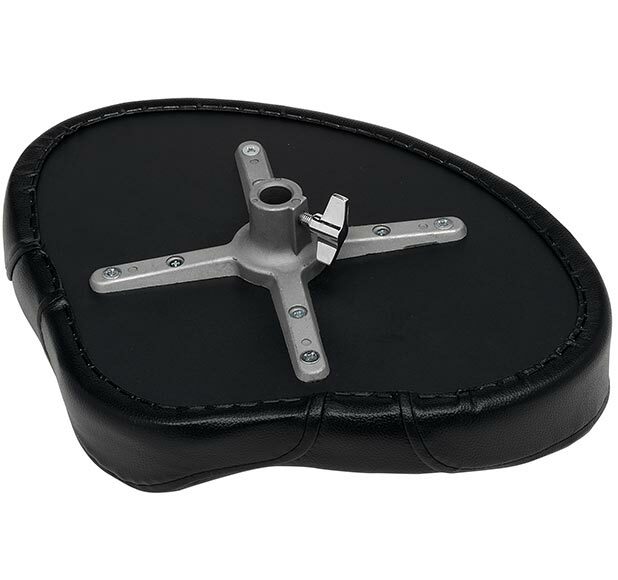 The Infinitely Adjustable Spring Rockers allow you to precisely customize your beater stroke on both sides. 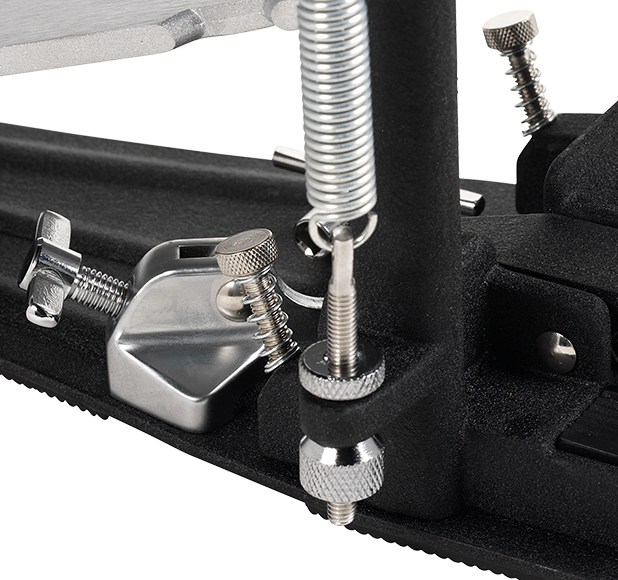 With the 500 Series Double Pedal, it’s easy to dial in your own personal playing style. 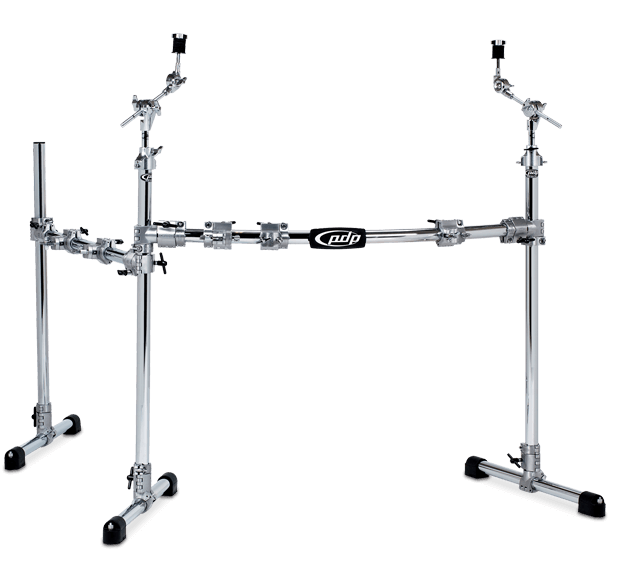 PDP hardware is designed by industry leader Drum Workshop, a company that has been solving hardware problems since 1972. 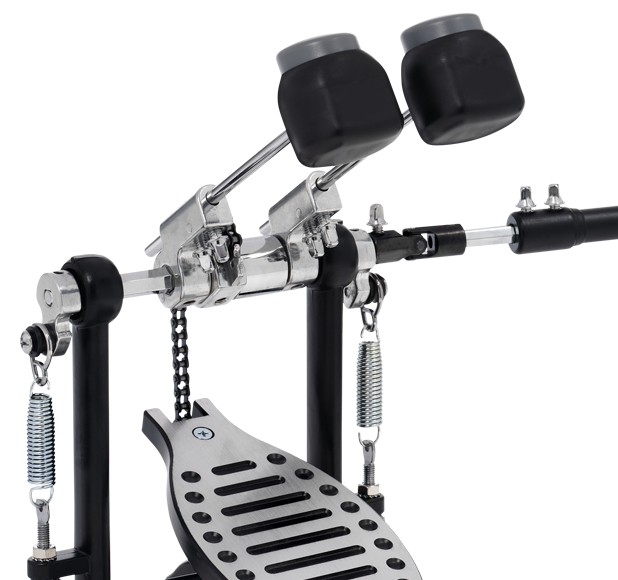 And the PDP 400 Series Double Bass Drum Pedal offers the same amazing features of the 400 Single Pedal. 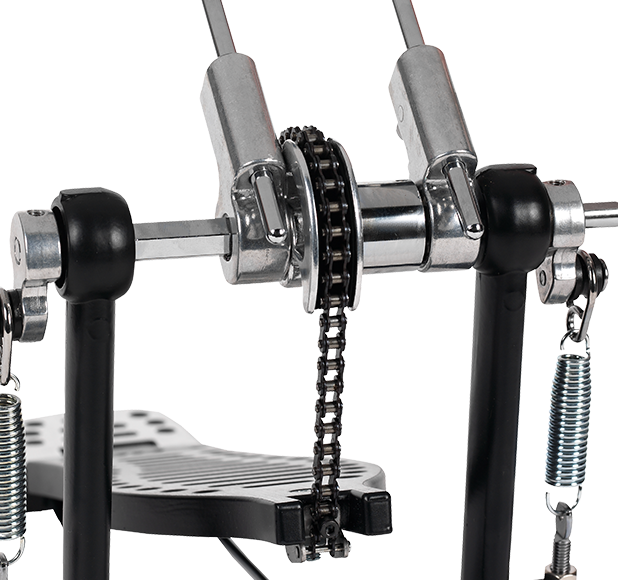 The Double Pedal features a sleek, racing-inspired footboard, and a pair of Single-Chain Drives, each with an Offset Cam for improved torque. 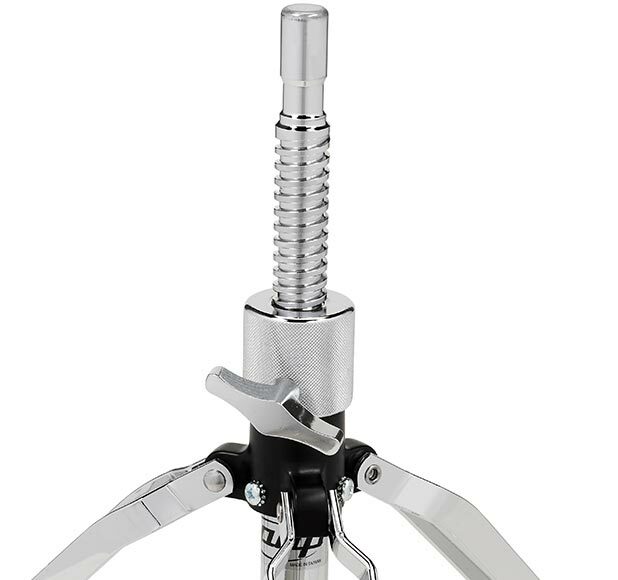 It comes standard with PDP Two-Way Beaters, built-in spurs, Side Adjustable Toe Clamp, Three-Position Stroke Adjustment for both springs, and a built-in drum key clip. 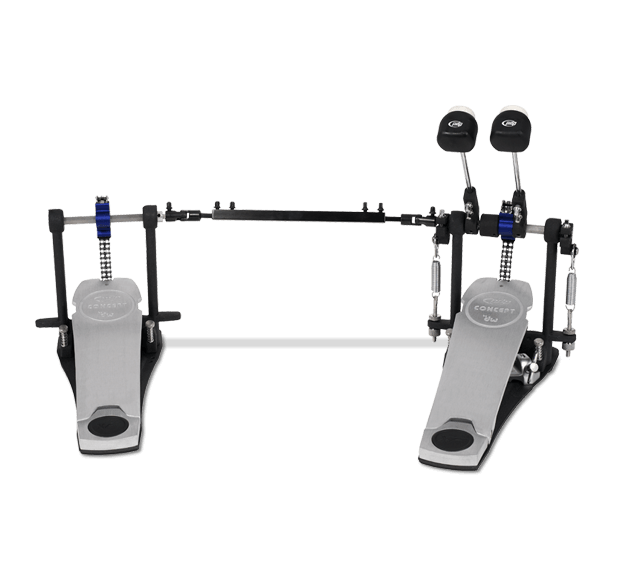 With the 400 Series Double Pedal, it’s easy to dial in your own personal playing style. 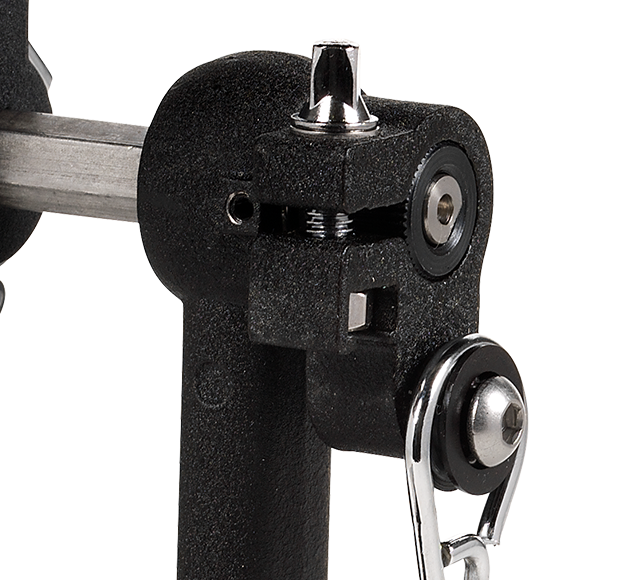 At the heart of PDP’s Concept Series™ hardware line is the toothless Quick Grip Tilting Clamp, which allows drummers to add a multitude of percussion instruments, cymbals, accessories and even microphones to their kit, without adding more stands. 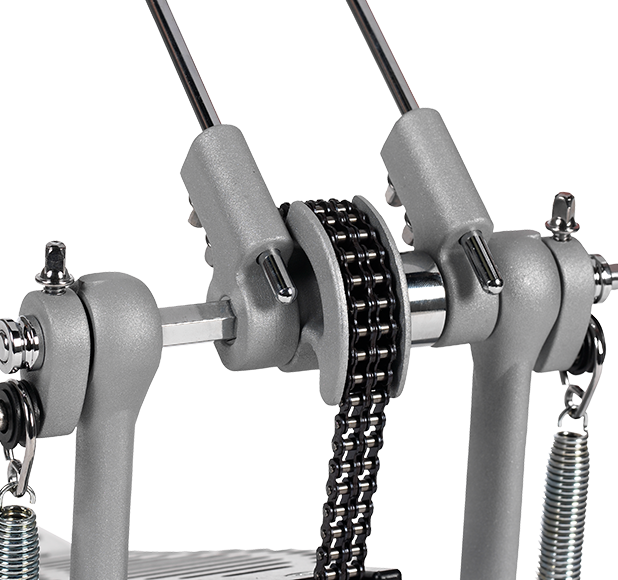 This innovative, adjustable clamp gives players the ability to customize just about any existing stand in a myriad of ways. 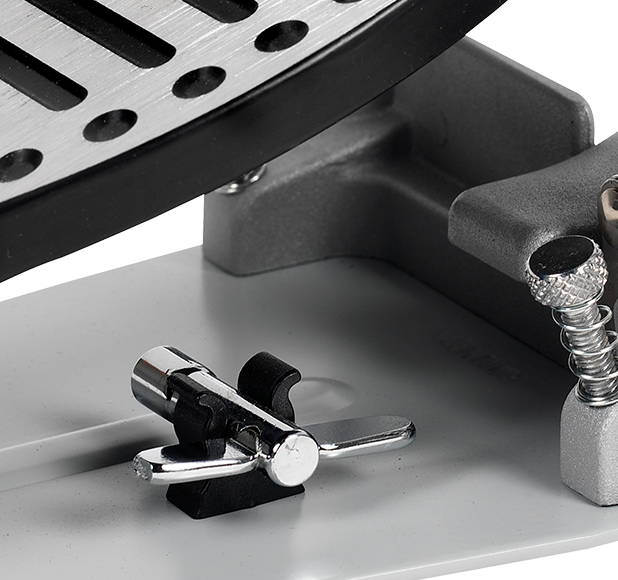 The sturdy, all-metal clamp features a friction disc for fine-tuning your angle settings. 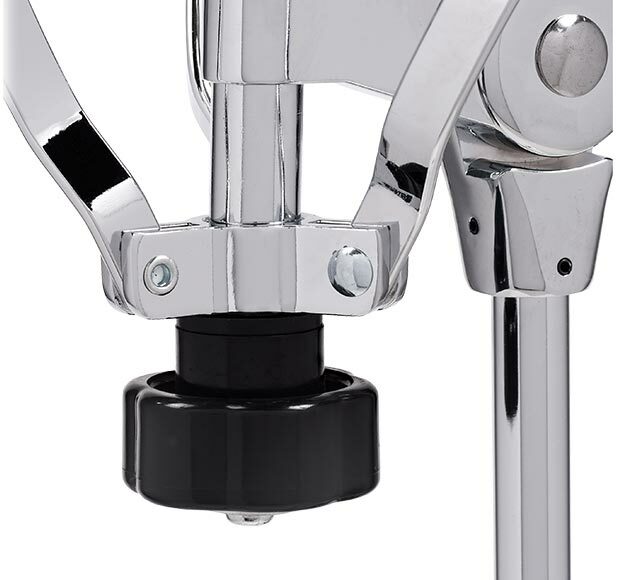 The versatile Quick Grip design uses dual fittings to accept the factory-set 1/2-inch mounting arms, or convert to 10.5mm arms with the simple turn of a drum key. 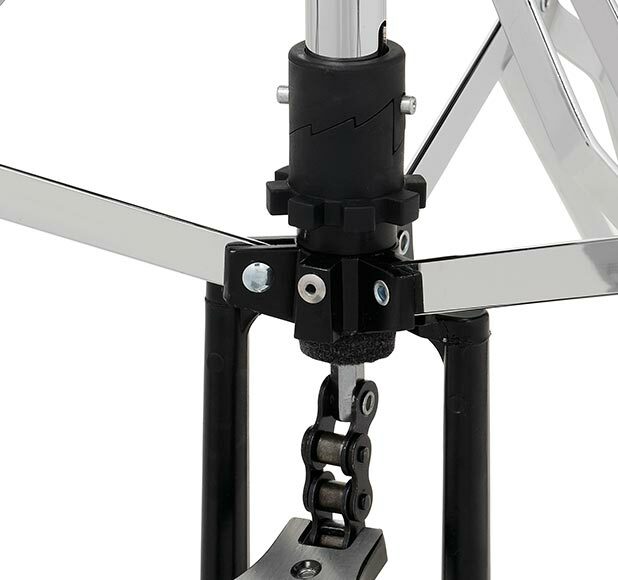 This means you can combine the Concept Series™ Boom Stand with the array of other Concept Series™ stands and accessories for virtually limitless mounting possibilities. 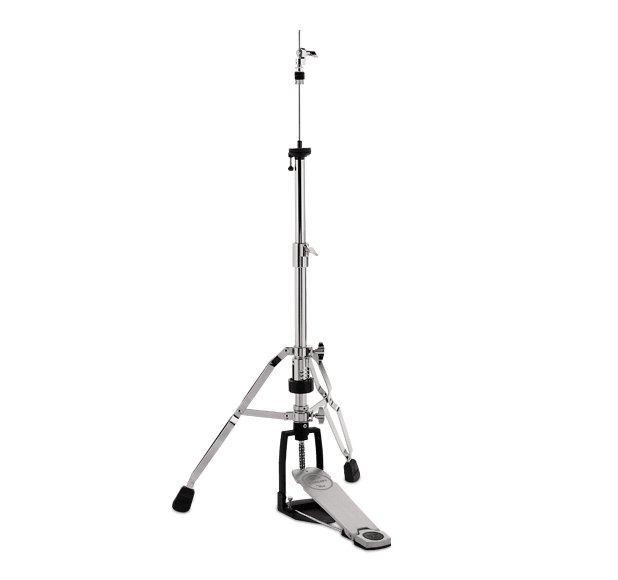 The PDP 800 Series Boom Cymbal Stand is a medium weight stand that combines strength, reliability and versatility, designed by drummers, for drummers. 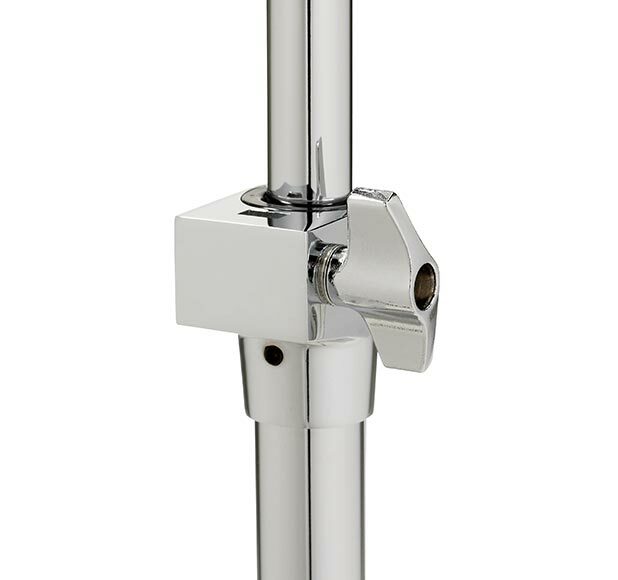 The boom arm can easily telescope down into the upper tube, whenever you want to convert to a straight stand. 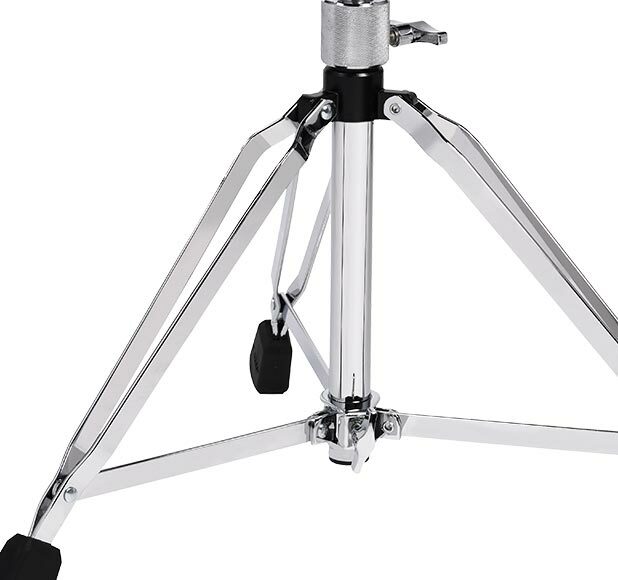 And all 800 Series cymbal stands feature fine-toothed tilters, double-braced legs and large rubber feet. 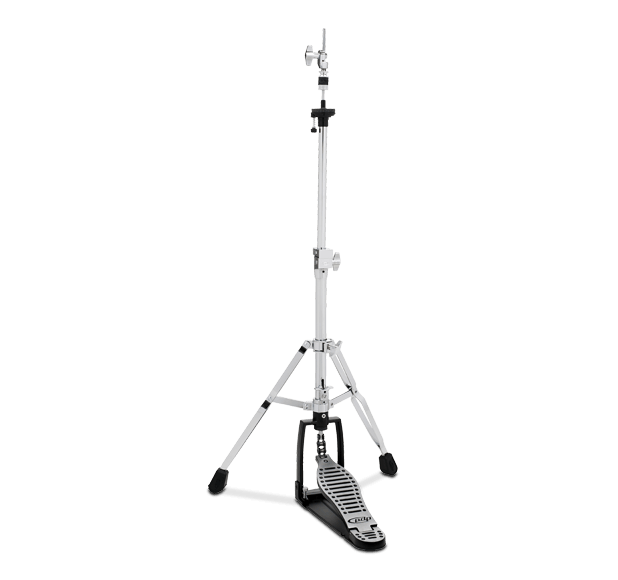 Designed for players at all levels, the PDP 700 Series Boom Cymbal Stand is a lightweight stand that combines strength, reliability and versatility, designed by drummers, for drummers. 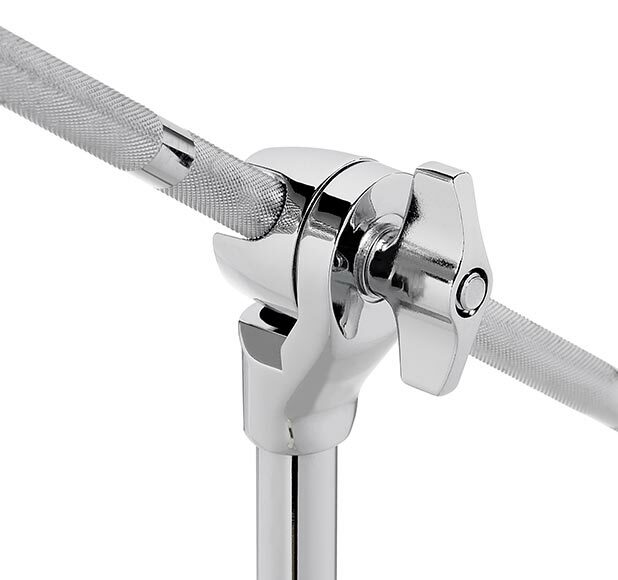 The boom arm can easily telescope down into the upper tube, whenever you want to convert to a straight stand. All 700 Series cymbal stands feature cast tilters, double-braced legs and large rubber feet. 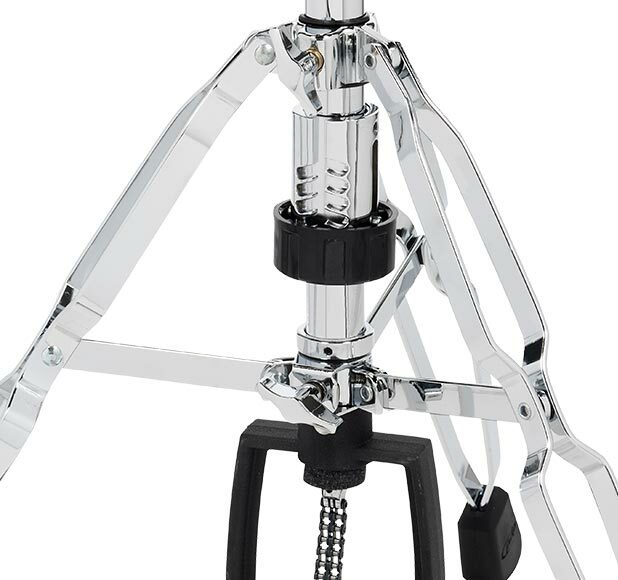 The PDP Concept Series™ Straight Cymbal Stand is yet another versatile piece in PDP’s premier line of innovative hardware, designed by drummers, for drummers. 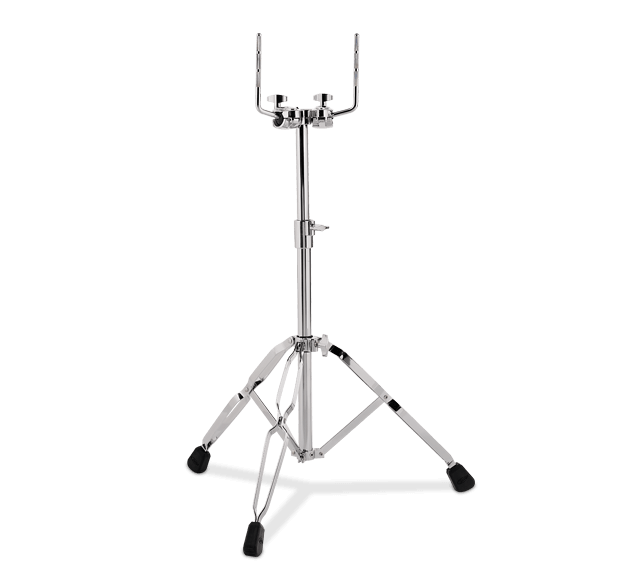 Concept Series™ stands use medium weight tubing for strength and durability. 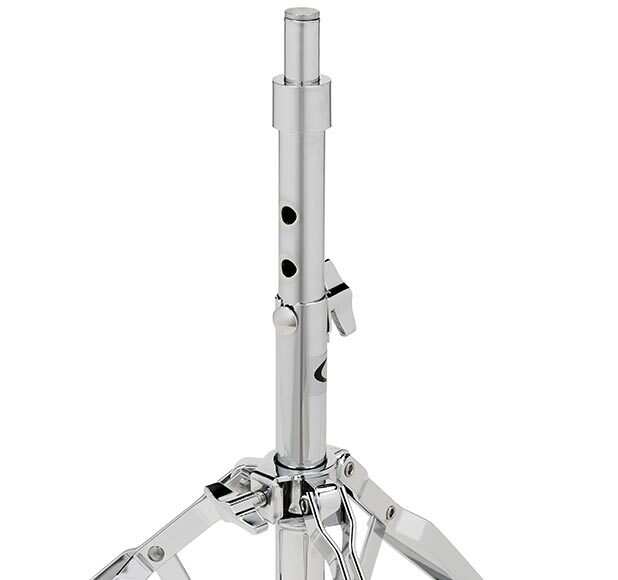 And all Concept Series™ cymbal stands feature our toothless Quick Grip tilters, double-braced legs and large, rubber feet. 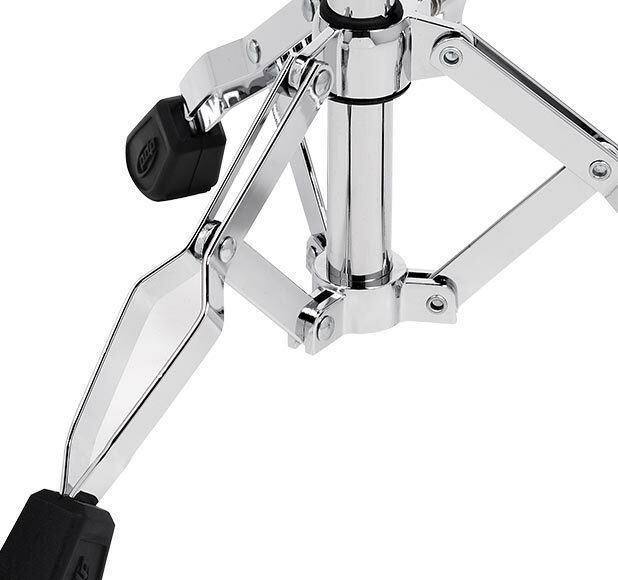 At the heart of PDP’s Concept Series™ hardware line is the toothless Quick Grip Tilting Clamp, which allows drummers to add a multitude of percussion instruments, cymbals, accessories and even microphones to their kit, without adding more stands. 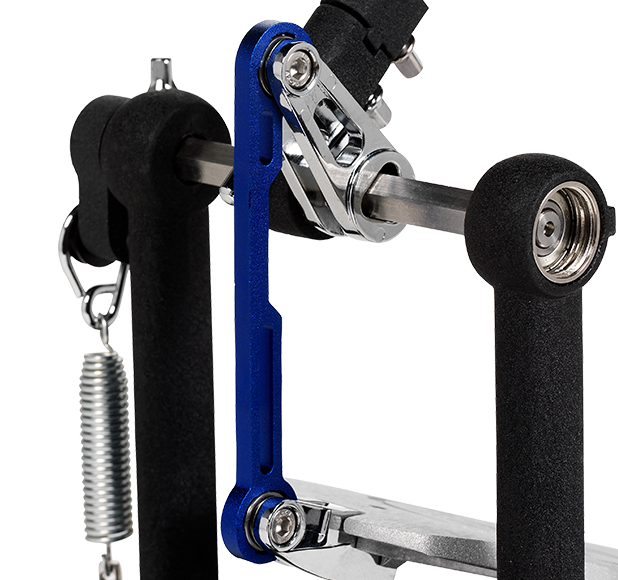 This innovative, adjustable clamp gives players the ability to customize just about any existing stand in a myriad of ways. 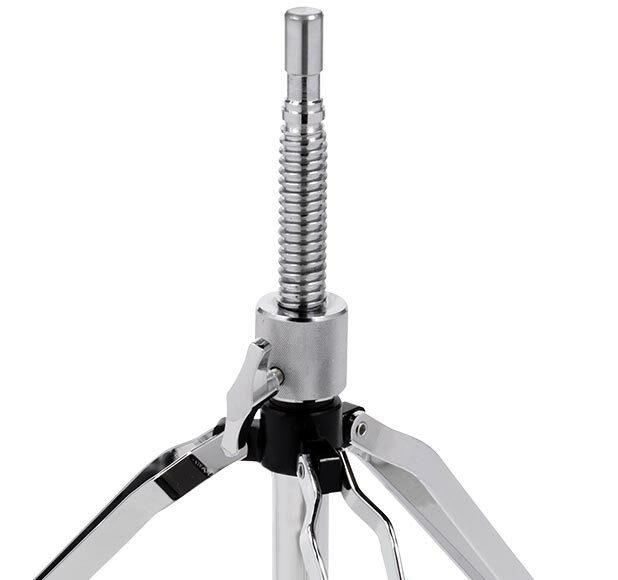 The sturdy, all-metal clamp features a friction disc for fine-tuning your angle settings. 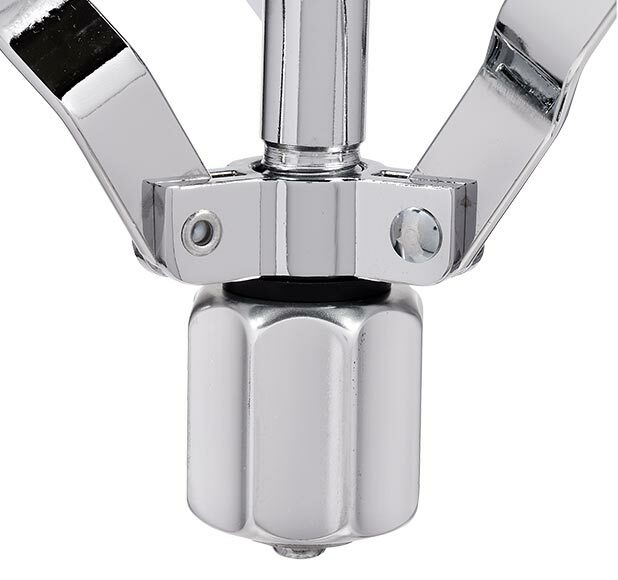 And the versatile Quick Grip design uses dual fittings to accept the factory-set 1/2-inch mounting arms, or convert to 10.5mm arms with the simple turn of a drum key. 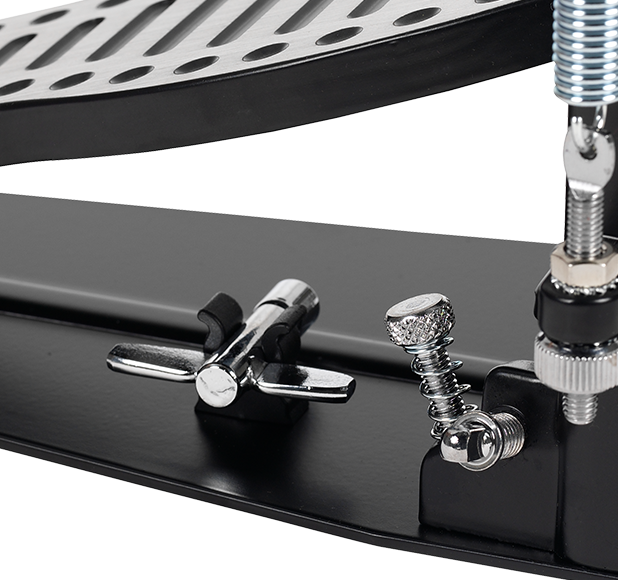 This means you can combine the Concept Series™ Straight Stand with the array of other Concept Series stands and accessories for virtually limitless mounting possibilities. 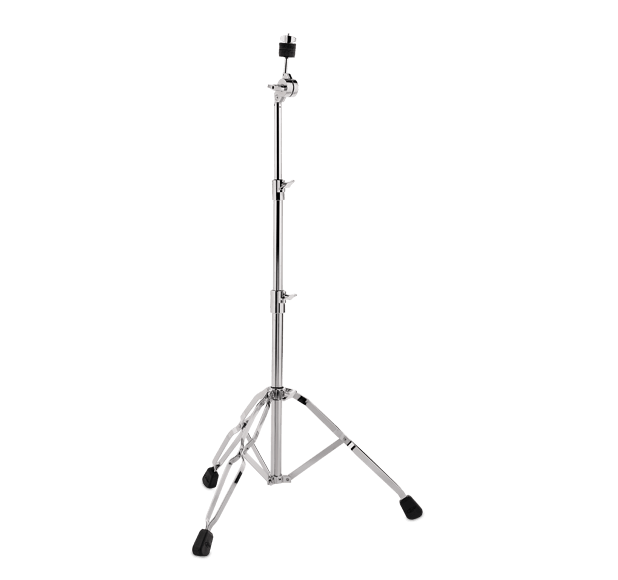 The PDP 800 Series Straight Cymbal Stand is a medium weight stand that combines strength, reliability and versatility, designed by drummers, for drummers. 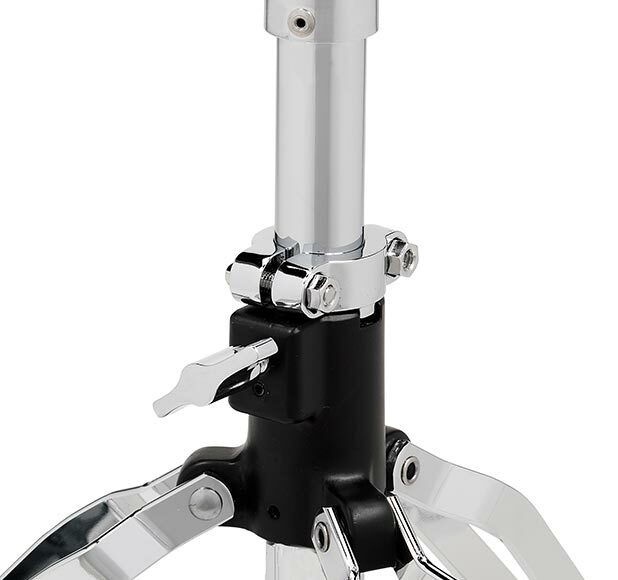 All 800 Series cymbal stands feature fine-toothed tilters, double-braced legs and large rubber feet. 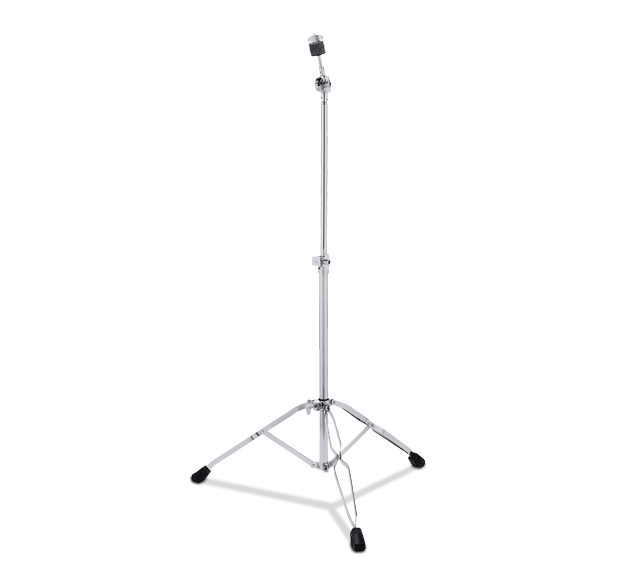 Designed for players at all levels, the PDP 700 Series Straight Cymbal Stand is a lightweight stand that combines strength, reliability and versatility, designed by drummers, for drummers. 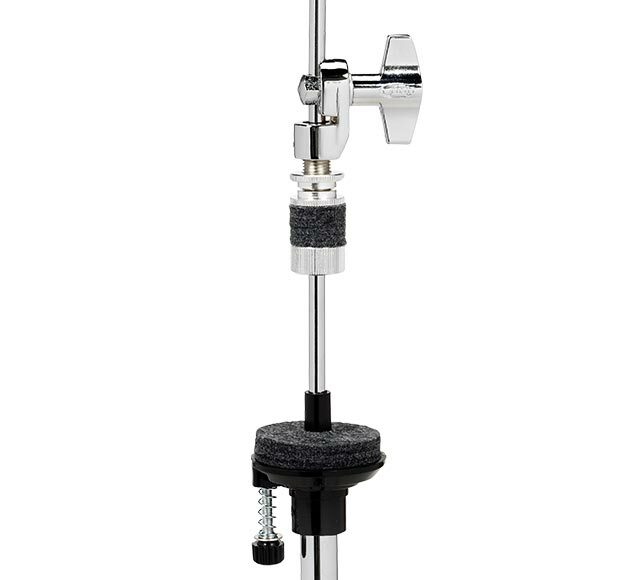 All 700 Series cymbal stands feature cast tilters, double-braced legs and large rubber feet. 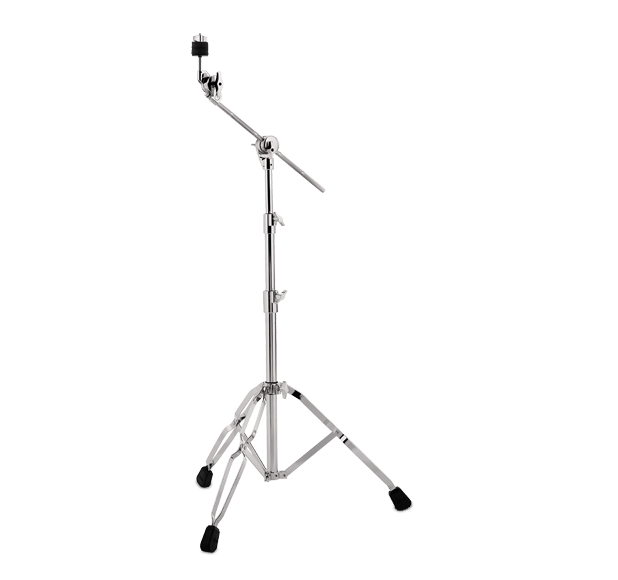 The PDP Concept Series™ 2-Legged Hi-Hat Stand is yet another versatile piece in PDP’s premier line of innovative hardware, designed by drummers, for drummers. 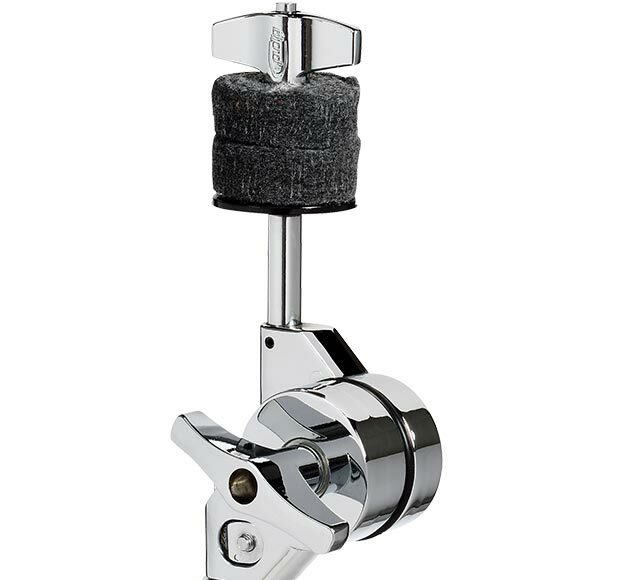 The 2-legged design allows you to set your auxiliary pedals closer to the hi-hat pedal, while the Slotted Tension Adjustment lets you dial in just the right feel. 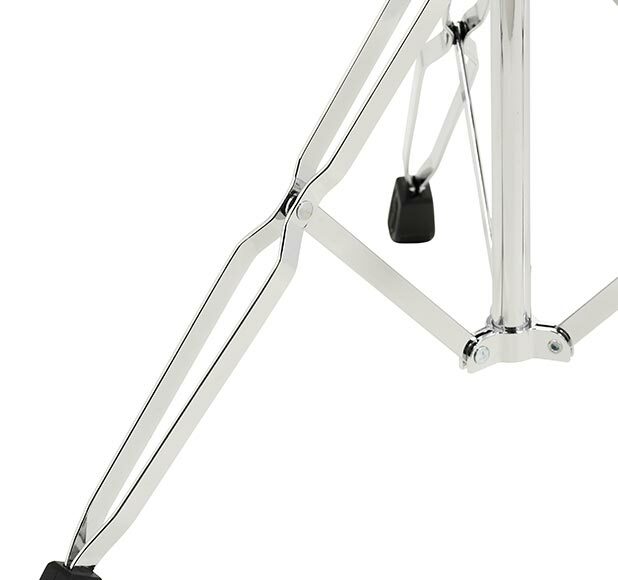 The stand is constructed with the strong, durable, medium weight tubing used in all Concept Series™ stands, along with the same dual chain and Extended Footboard as our Concept Series™ Bass Drum Pedals. 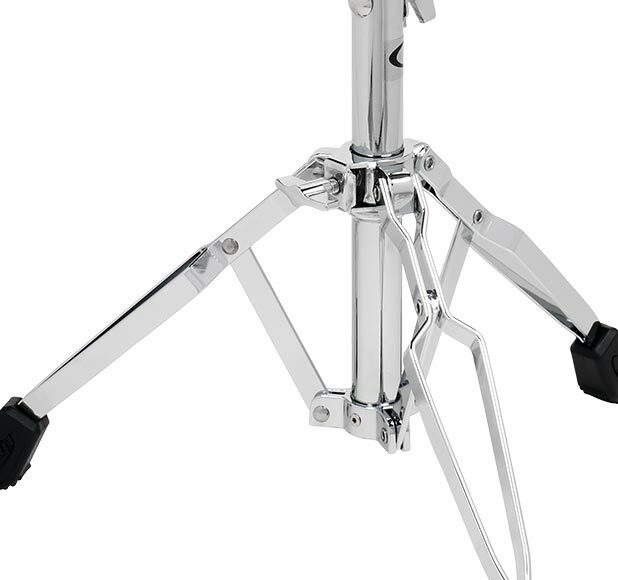 All Concept Series™ Hi-Hat Stands feature a low-mass, metal-rod pedal base, double-braced legs and large rubber feet. 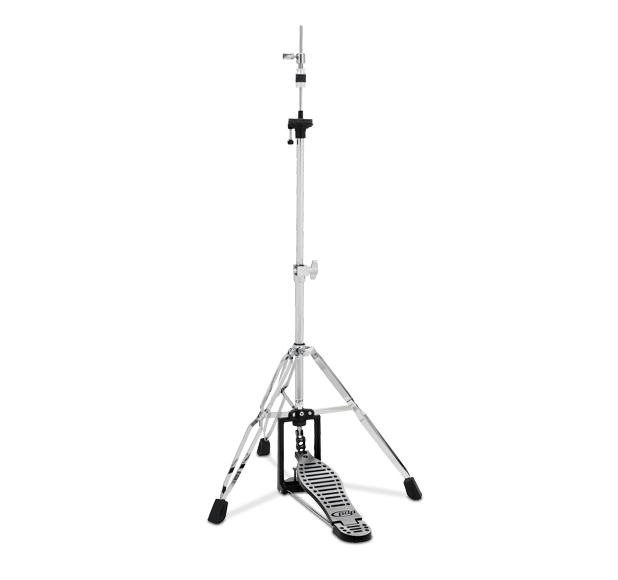 Designed for players at all levels, the PDP 800 Series 2-Legged Hi-Hat Stand is a medium weight stand that combines strength, reliability and versatility, designed by drummers, for drummers. 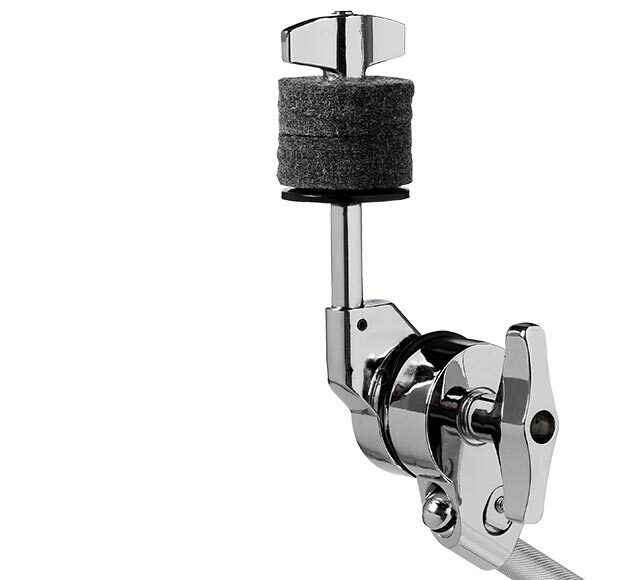 The 2-legged design allows you to set your auxiliary pedals closer to the hi-hat pedal, while the Slotted Tension Adjustment lets you dial in just the right feel. 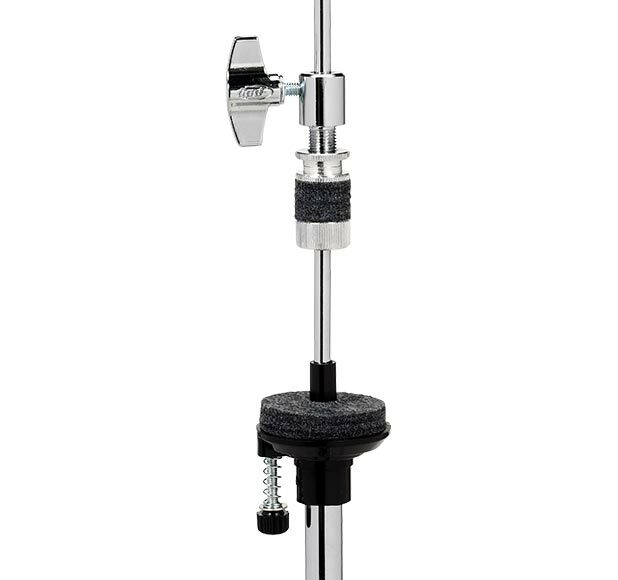 All 800 Series Hi-Hat Stands feature a low-mass, metal-rod pedal base, height adjustment memory lock, double-braced legs, large rubber feet and adjustable anchoring screws. 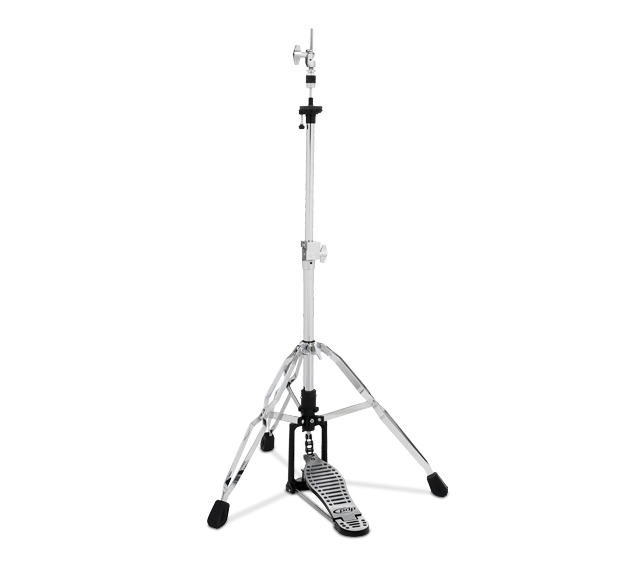 Designed for players at all levels, the PDP 800 Series 3-Legged Hi-Hat Stand is a medium weight stand that combines strength, reliability and versatility, designed by drummers, for drummers. 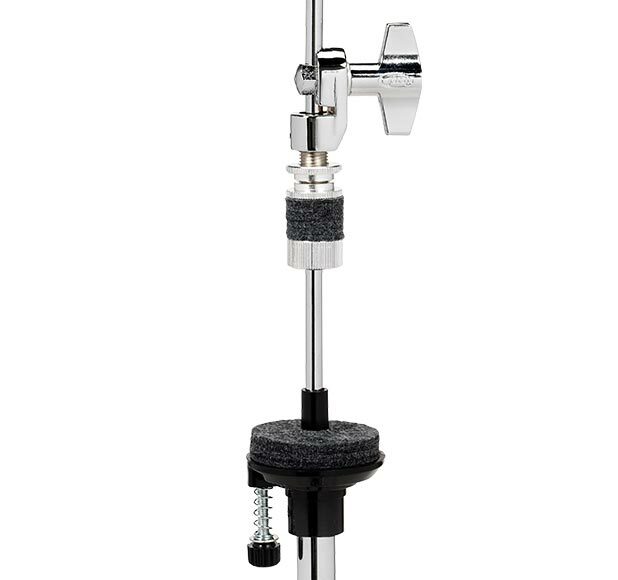 All 800 Series Hi-Hat Stands feature a low-mass, metal-rod pedal base, height adjustment memory lock, double-braced legs, large, rubber feet and an adjustable anchoring screw. 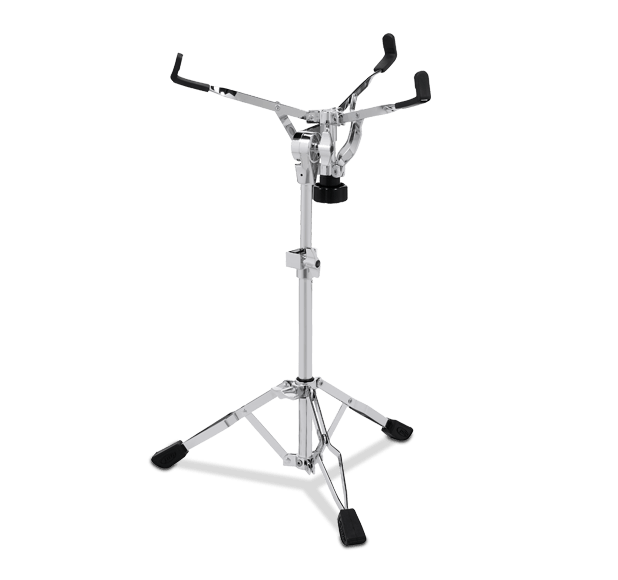 Designed for players at all levels, the PDP 700 Series Hi-Hat Stand is a lightweight stand that combines strength, reliability and versatility, designed by drummers, for drummers. 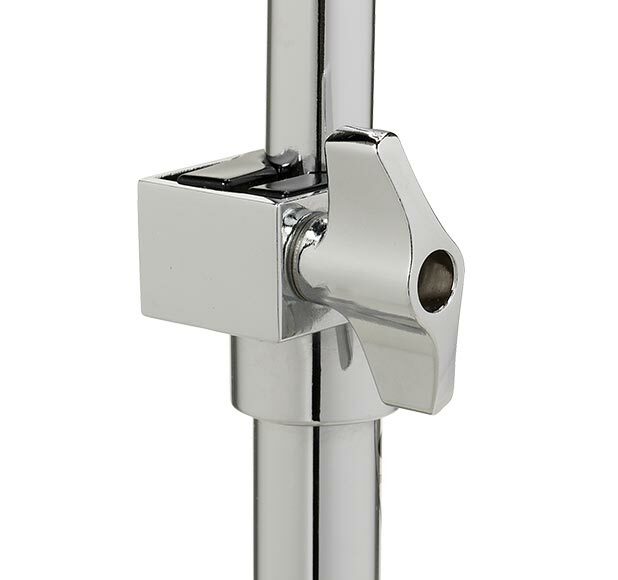 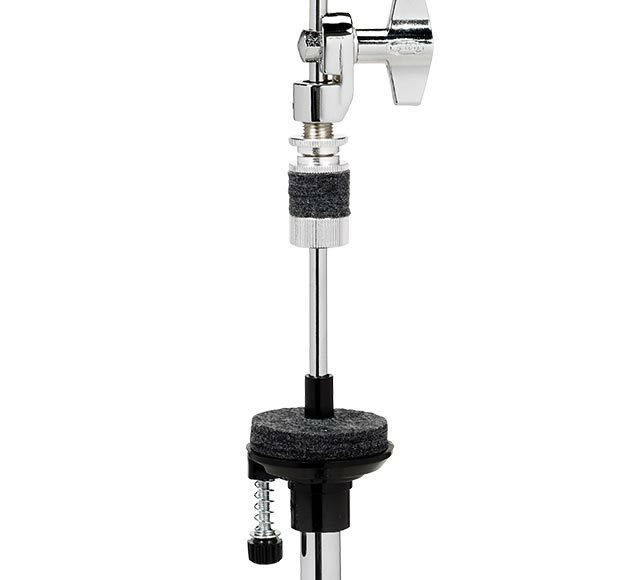 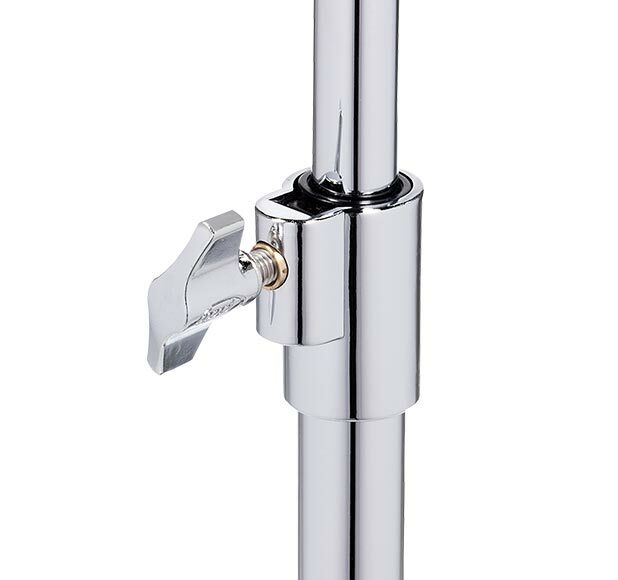 The 700 Series Hi-Hat Stand also features a low-mass, metal-rod pedal base, double-braced legs, large, rubber feet and an adjustable anchoring screw. 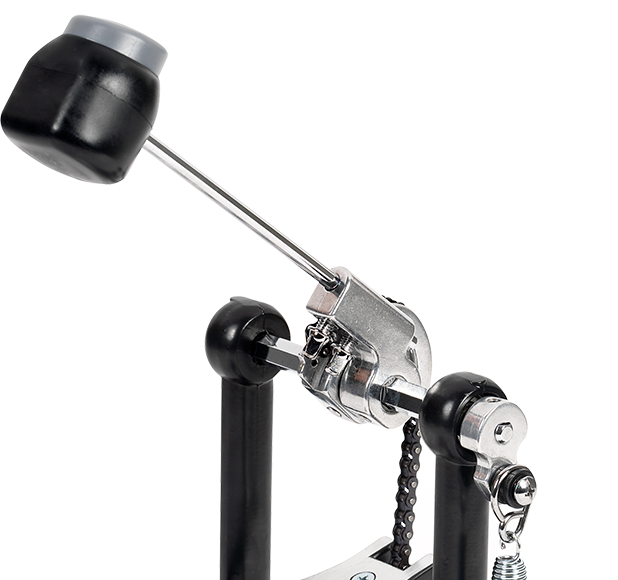 Drum Workshop is known throughout the industry for creating innovative instruments that inspire drummers. 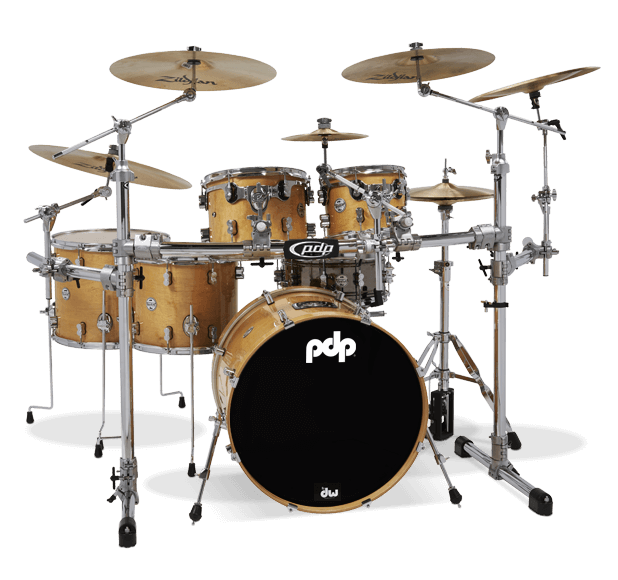 The PDP Concept Series™ follows the same path of innovation and design. 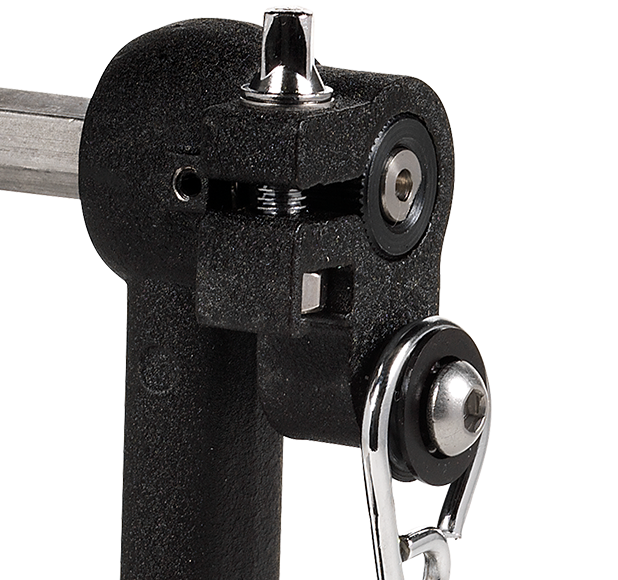 The heavy-duty Concept Series™ is a line of pro-quality, tour-ready hardware that creatively solves problems for drummers. 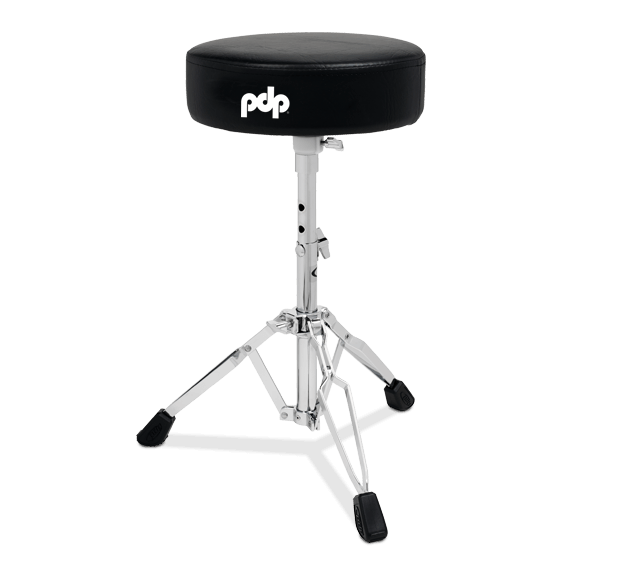 The PDDTC00 Concept Series™ throne features a 14” contoured, oversized Active Mesh thick throne top filled Hi-Density Foam. 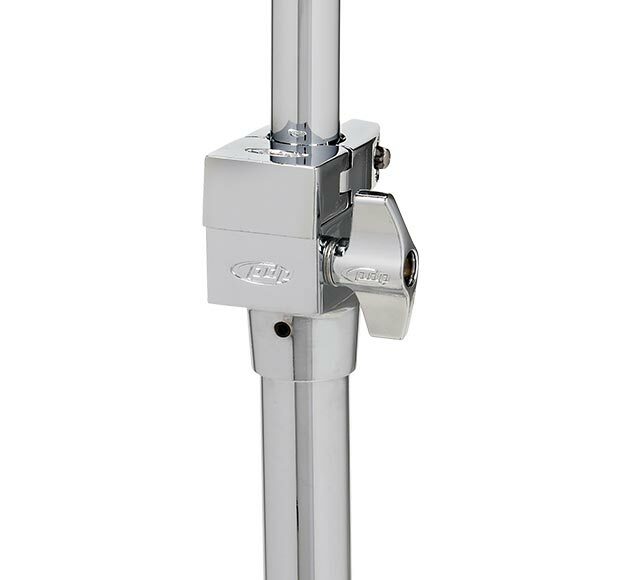 A spindle-style threaded post gives players an unlimited adjustment range from 21” to 28” to dial in the perfect height. 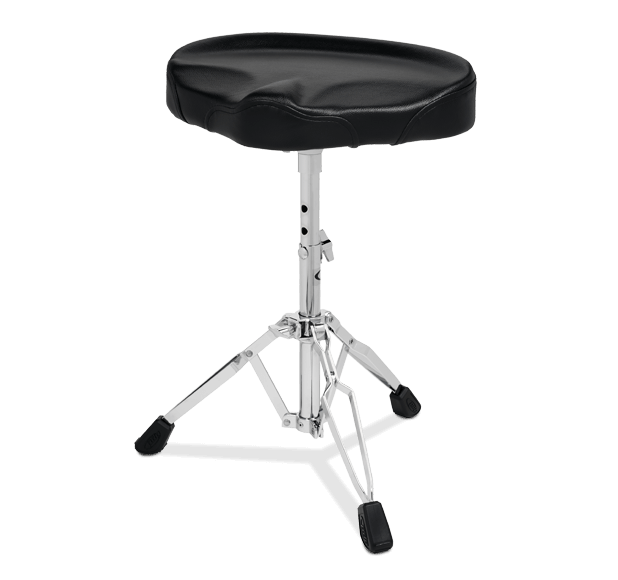 Double-braced legs and large non-slip rubber feet give this throne a rock-solid feel behind any kit. 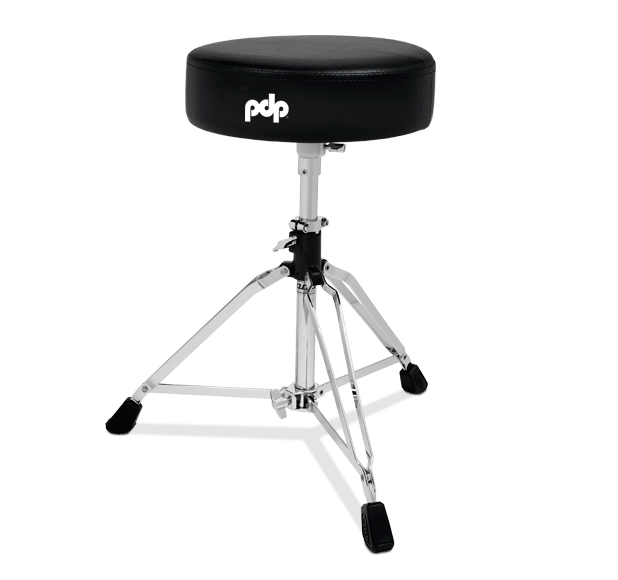 Designed for players at all levels, the PDP 800 Series Round Top Drum Throne is a medium weight throne that combines strength, reliability and versatility, designed by drummers, for drummers. 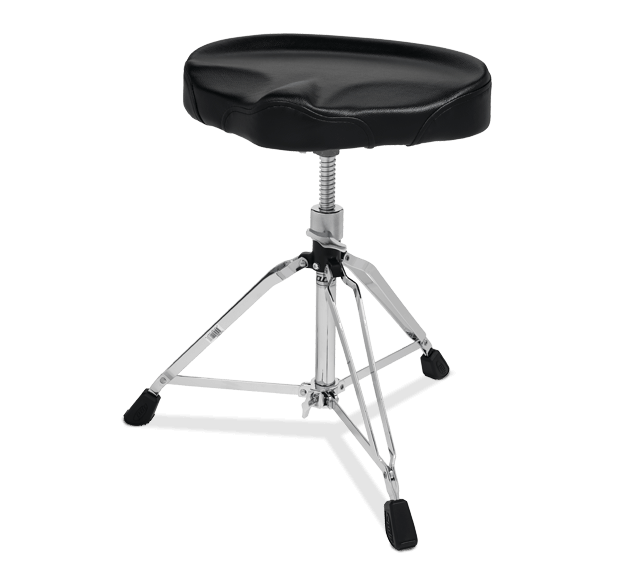 The 800 Series Round Top Throne features a thick, padded seat, height adjustment memory lock, double-braced legs and large rubber feet. 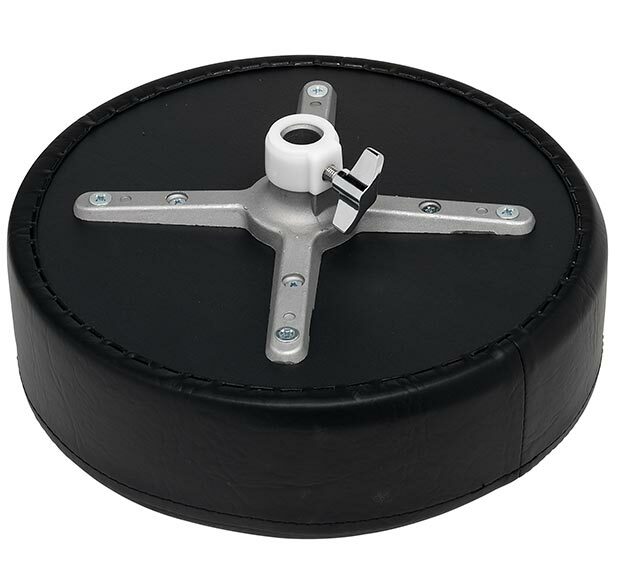 Designed for players at all levels, the PDP 700 Series Tractor Seat Drum Throne is a lightweight throne that combines strength, reliability and versatility, designed by drummers, for drummers. 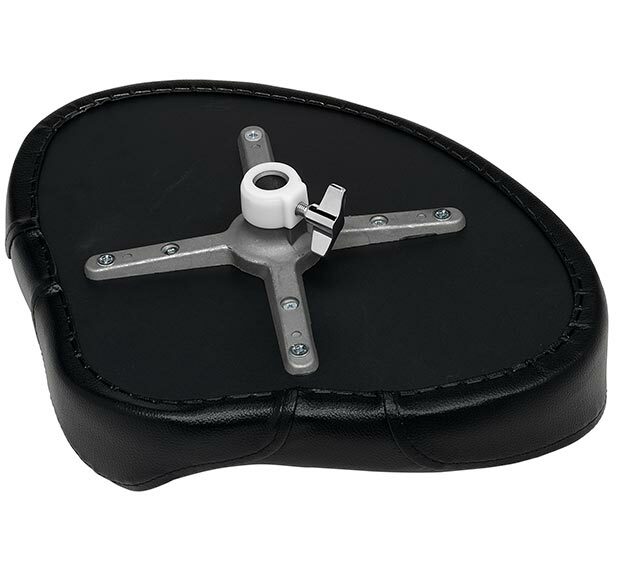 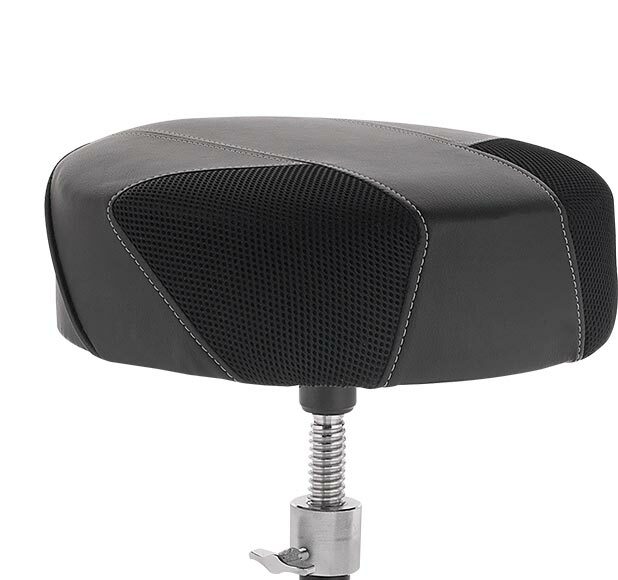 The 700 Series Tractor Seat Throne features a padded, ergonomic, tractor-style seat for extra comfort, carriage bolt height adjustment, double-braced legs and large rubber feet. 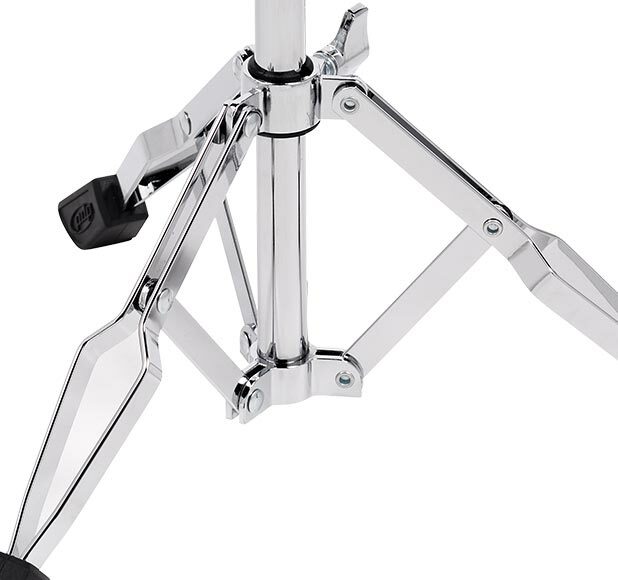 The PDP Concept Series™ Snare Stand is one of the workhorse models in PDP’s premier line of innovative hardware, designed by drummers, for drummers. 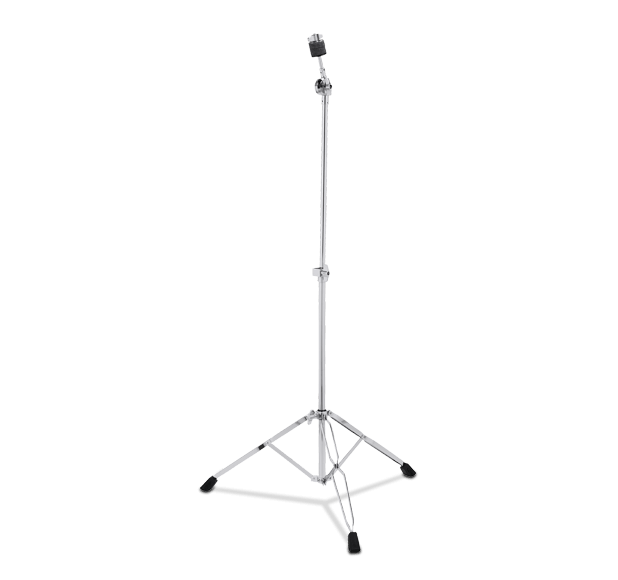 All Concept Series™ stands are constructed with medium weight tubing for strength and durability. 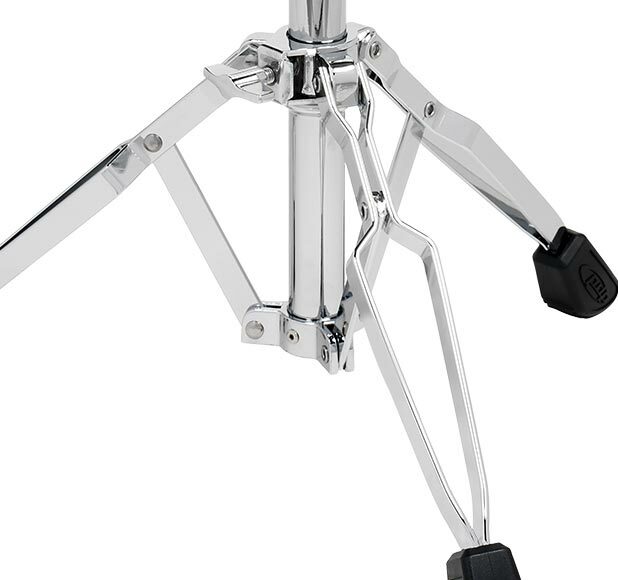 The Concept™ Snare Stand features an offset, ball-and-socket, snare basket adjustment, double-braced legs and large rubber feet. 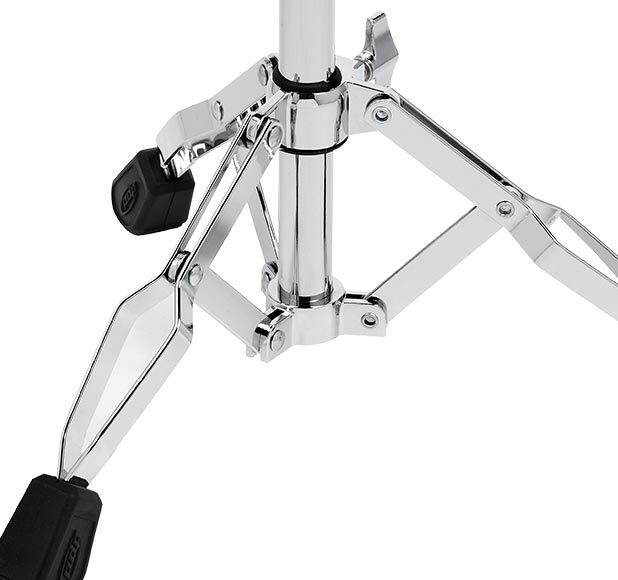 With a Concept Series™ Snare Stand underneath it, you can hit your snare drum as hard as you like with no worries! 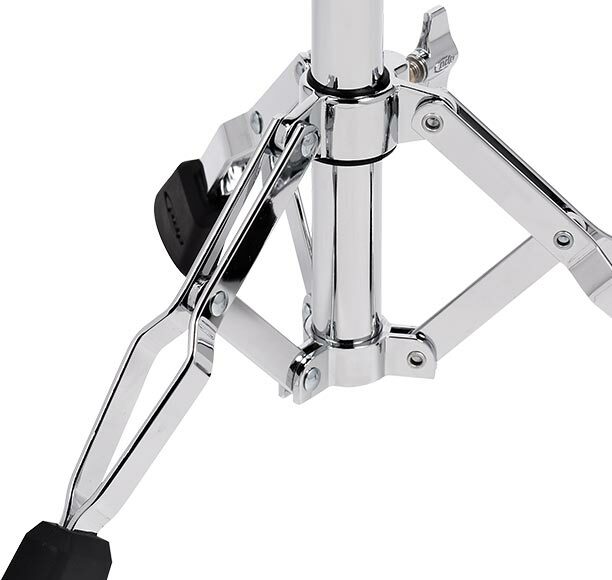 Designed for players at all levels, the PDP 800 Series Snare Stand is a medium weight stand that combines strength, reliability and versatility, designed by drummers, for drummers. 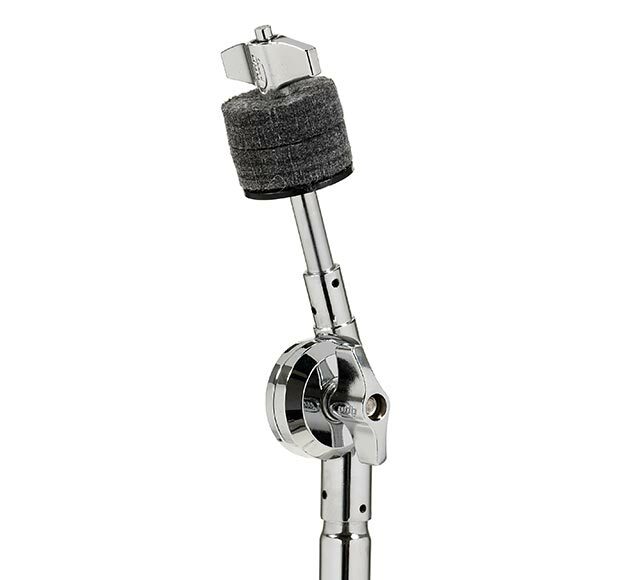 All 800 Series Snare Stands feature an adjustable-tilt snare basket, height adjustment memory lock, double-braced legs and large rubber feet. 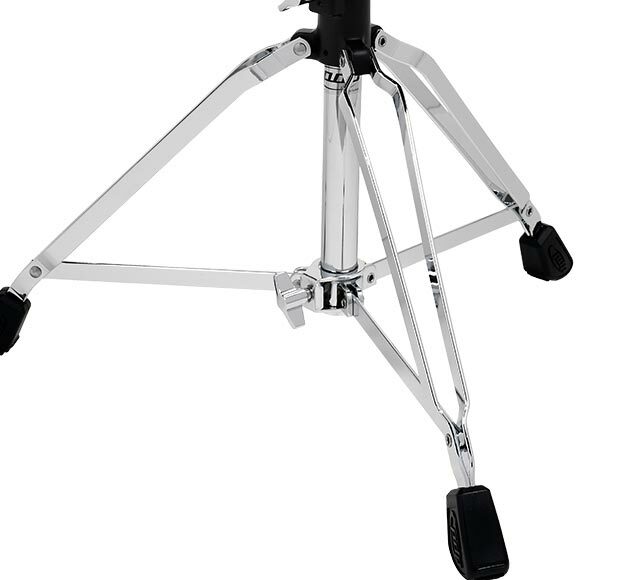 Designed for players at all levels, the PDP 700 Series Snare Stand is a lightweight stand that combines strength, reliability and versatility, designed by drummers, for drummers. 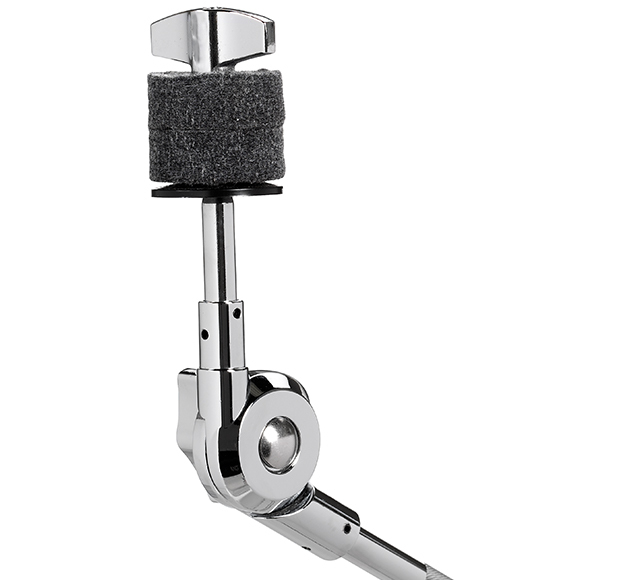 All 700 Series Snare Stands feature an adjustable-tilt snare basket, double-braced legs and large, rubber feet. 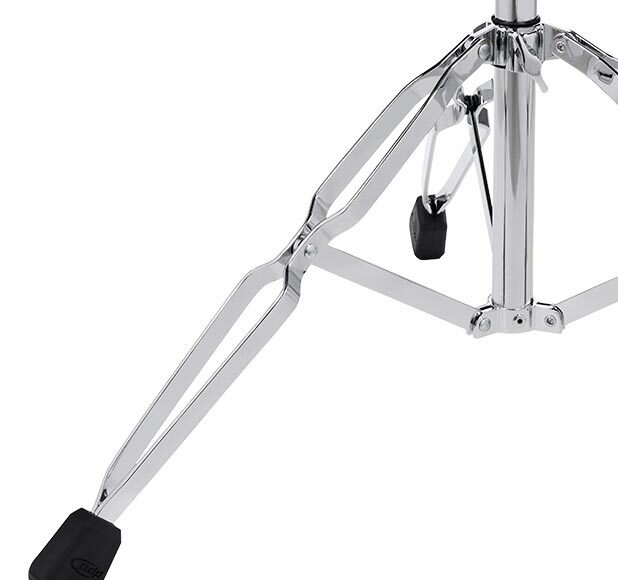 The PDP Concept Series™ Double Tom Stand is yet another versatile piece in PDP’s premier line of innovative hardware, designed by drummers, for drummers. 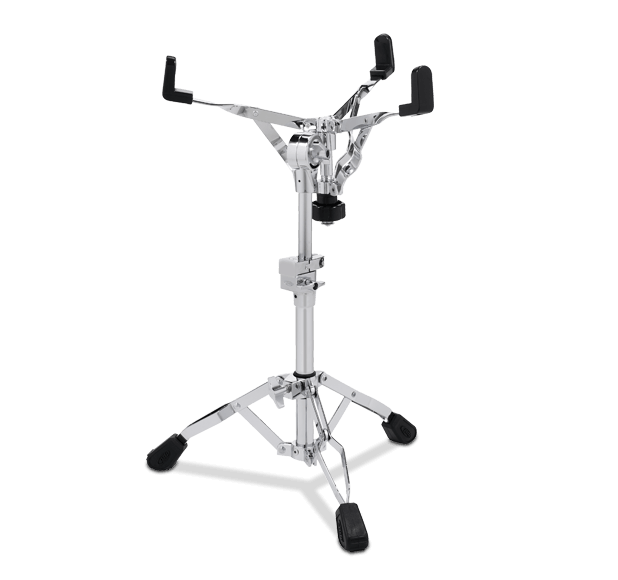 All Concept Series™ stands use medium weight tubing for strength and durability, and feature double-braced legs and large, rubber feet. 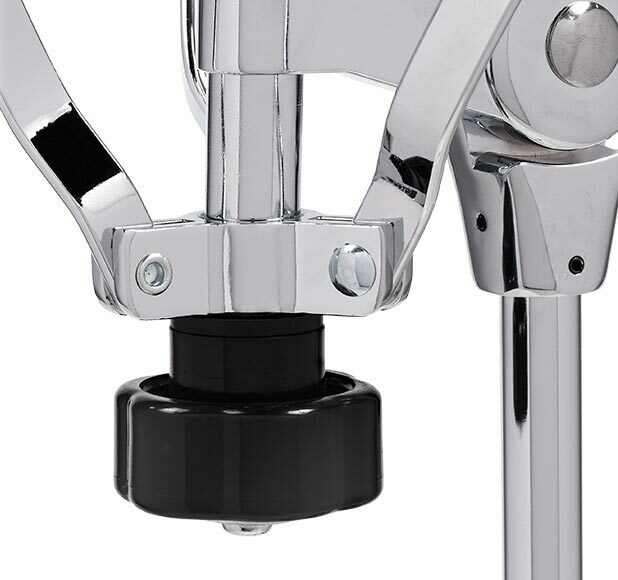 And the Double Tom Stand sports a pair of knurled L-arms, each mounted on a fully adjustable ball-and-socket joint, allowing you to position your toms anywhere with ease and precision. 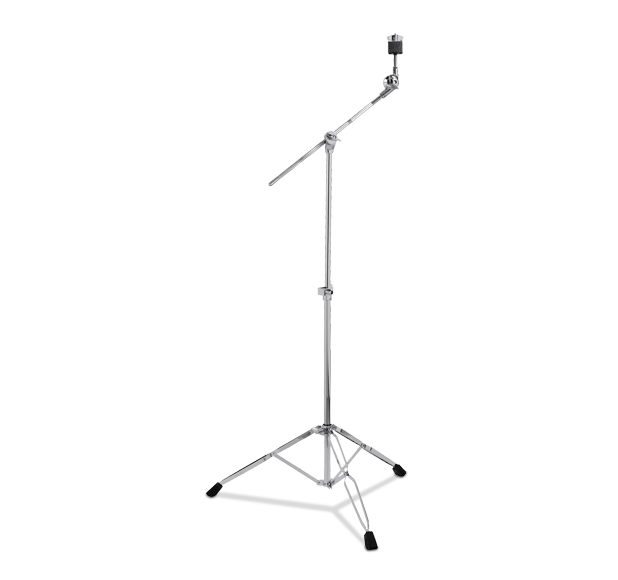 PDP Rack Systems were designed especially for working drummers. 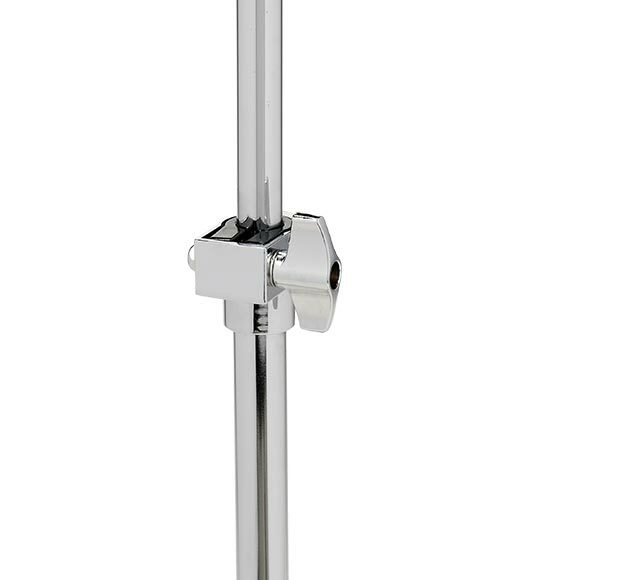 PDP racks are built to last, with heavy-duty, chrome-plated, steel tubing. 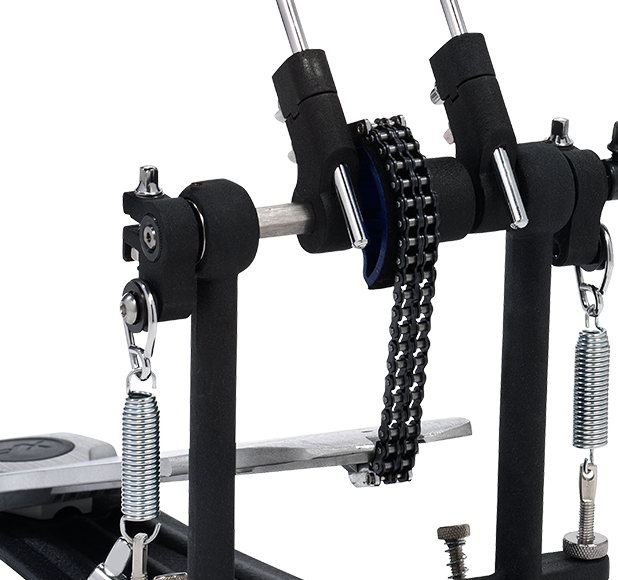 PDP offers a multitude of reinforced clamps and modular accessories, so our racks can be adapted for just about any set-up imaginable. 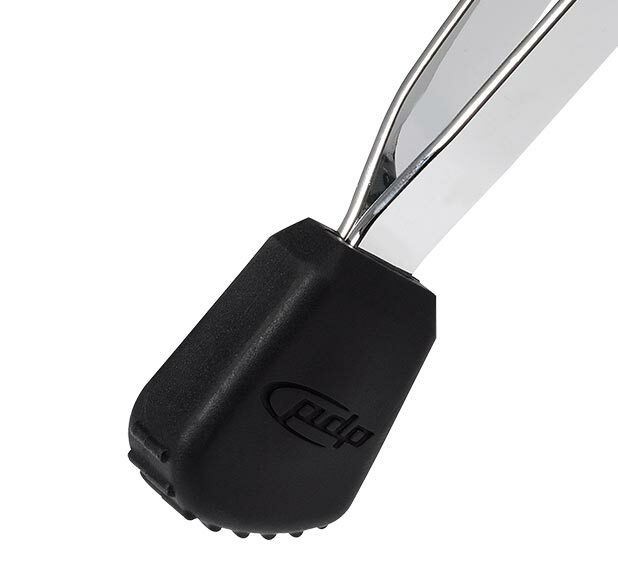 But the innovation doesn’t stop there! 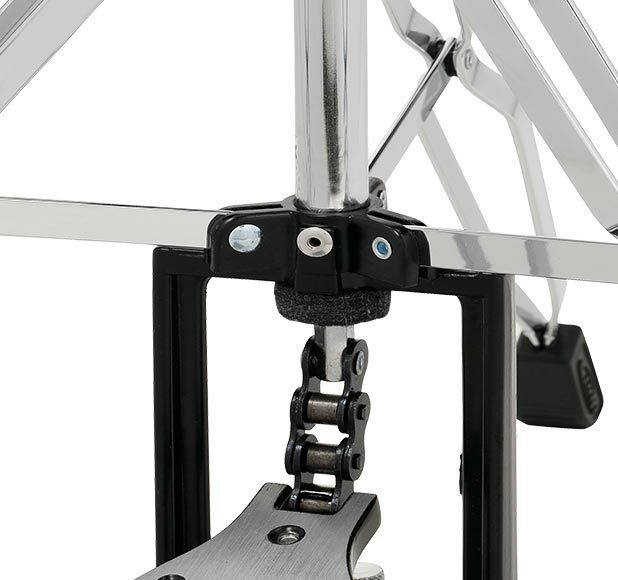 PDP Racks also feature our TechLock mounts, with an additional locking screw to secure your tilter angles. 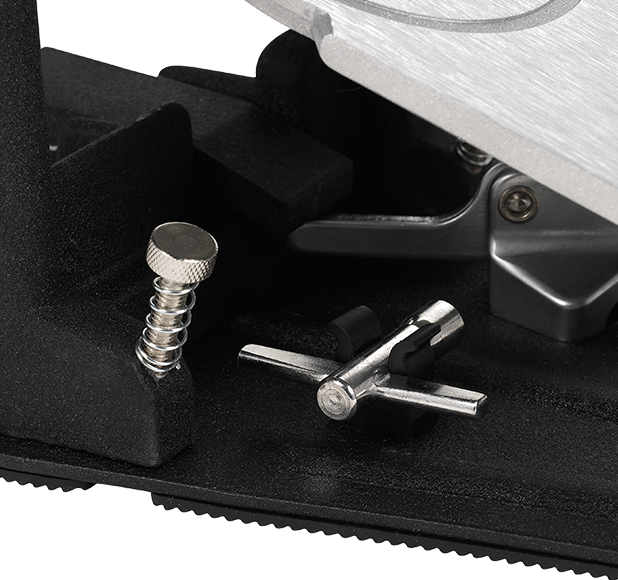 To make setting up easier, they offer soft-grip, rubber feet with integrated spikes, and even a level built into the PDP nameplate. 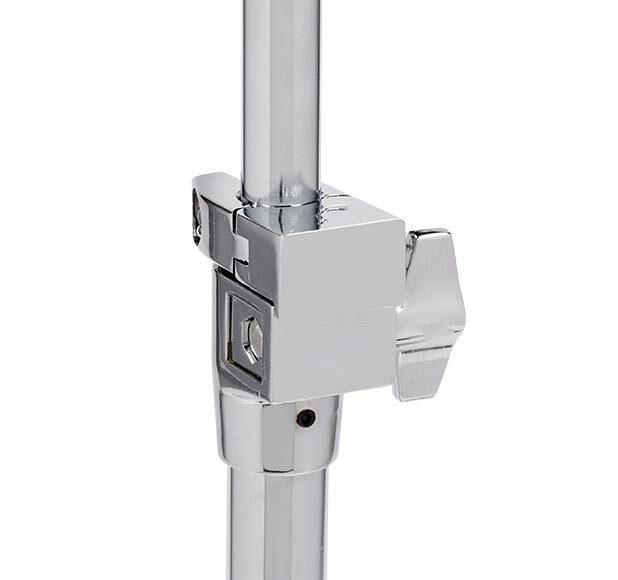 Best of all, PDP’s V-clamps work with various sizes of tubing, so you can pair them up with other hardware from PDP, or just about any other manufacturer. 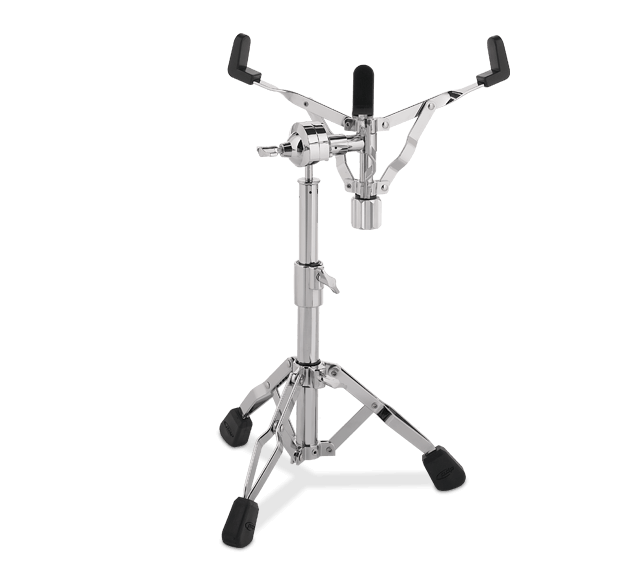 Heavy-duty and extremely versatile, PDP Rack Systems are a drummer’s best friend! 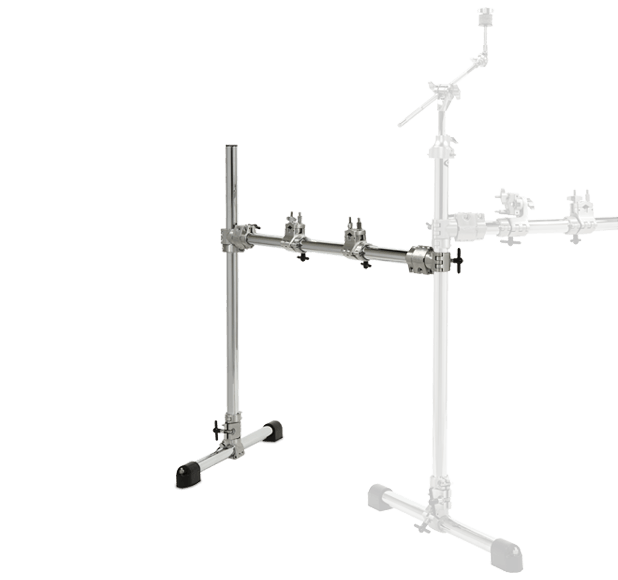 PDP Rack Systems were designed especially for working drummers. 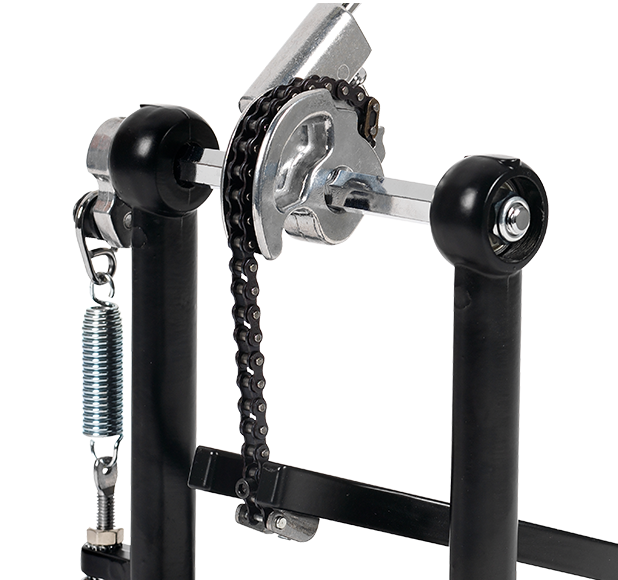 PDP Racks are built to last, with heavy-duty, chrome-plated, steel tubing. 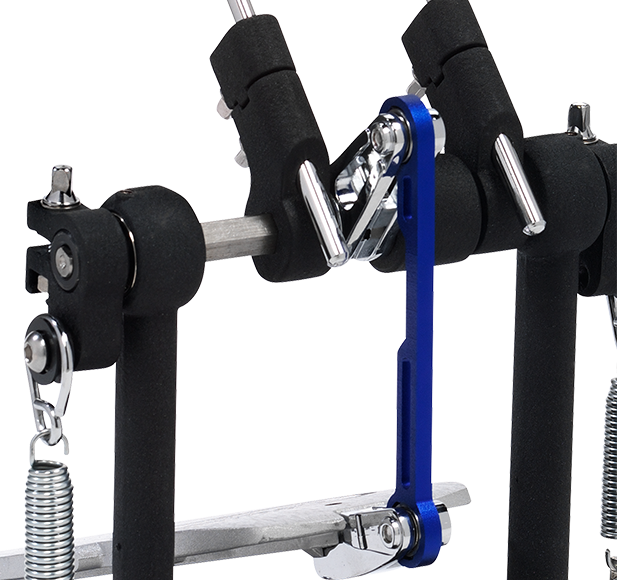 And PDP offers a multitude of reinforced clamps and modular accessories, so our racks can be adapted for just about any set-up imaginable. Heavy-duty and extremely versatile… PDP Rack Systems are a drummer’s best friend! 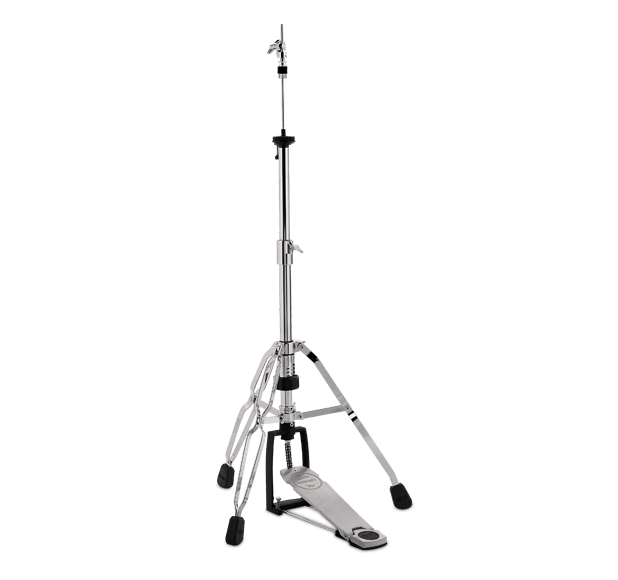 PDP’s line of medium weight, 800 Series hardware combines strength, reliability and versatility, designed by drummers, for drummers. 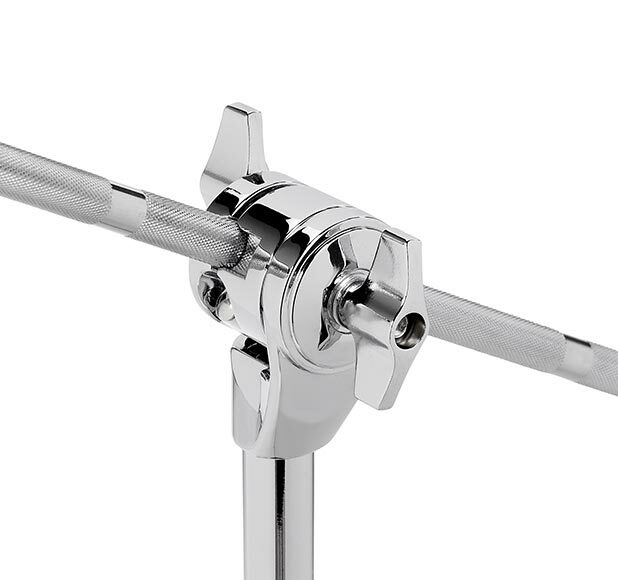 The 800 Series stands feature fine-toothed tilters, double-braced legs and large, rubber feet. 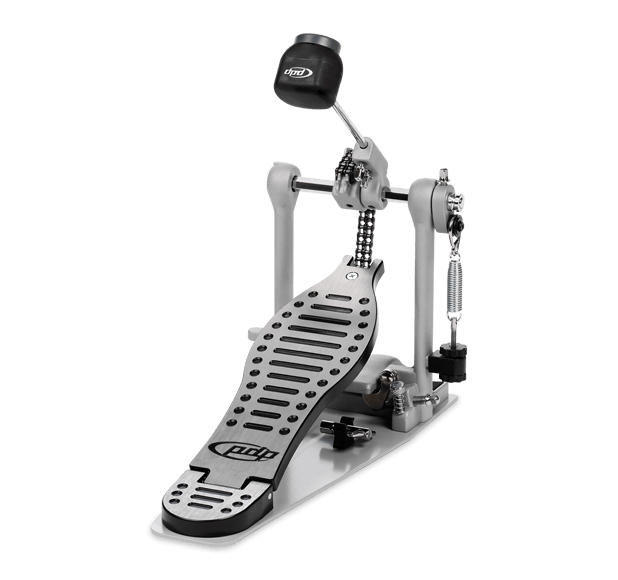 And the included PDP 400 Series Bass Drum Pedal is constructed with a racing-inspired footboard, a Single-Chain Drive with Offset Cam for improved torque, the PDP Two-Way Beater, built-in spurs, Side Adjustable Toe Clamp, and Three-Position Stroke Adjustment.